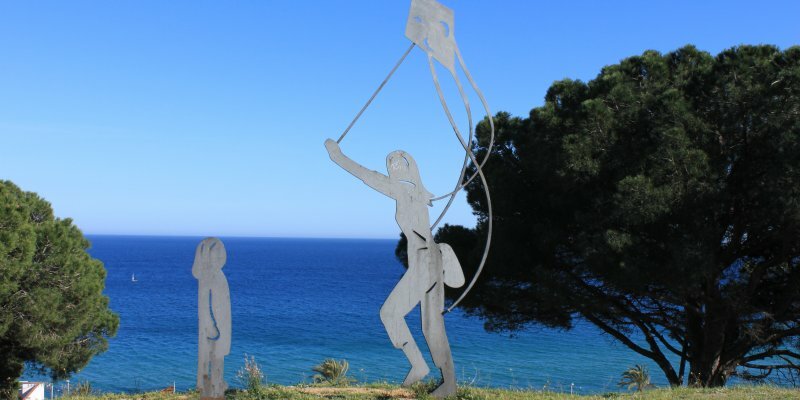 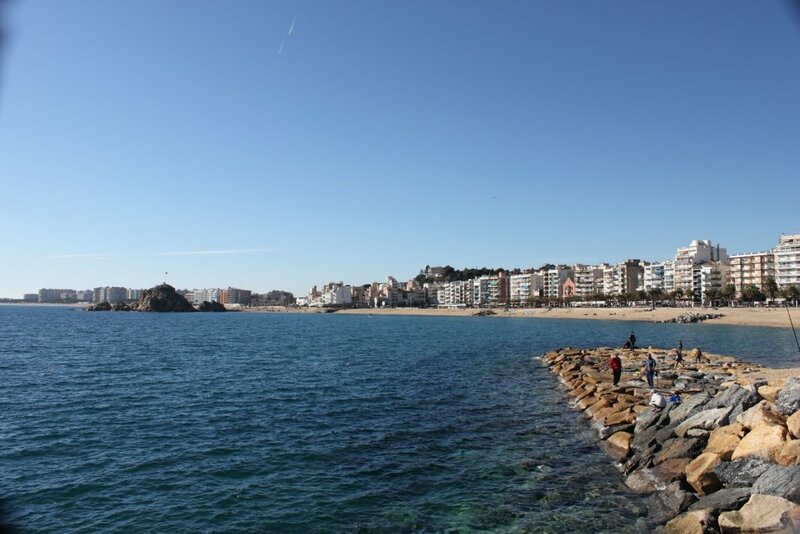 Blanes is a natural open-air museum. 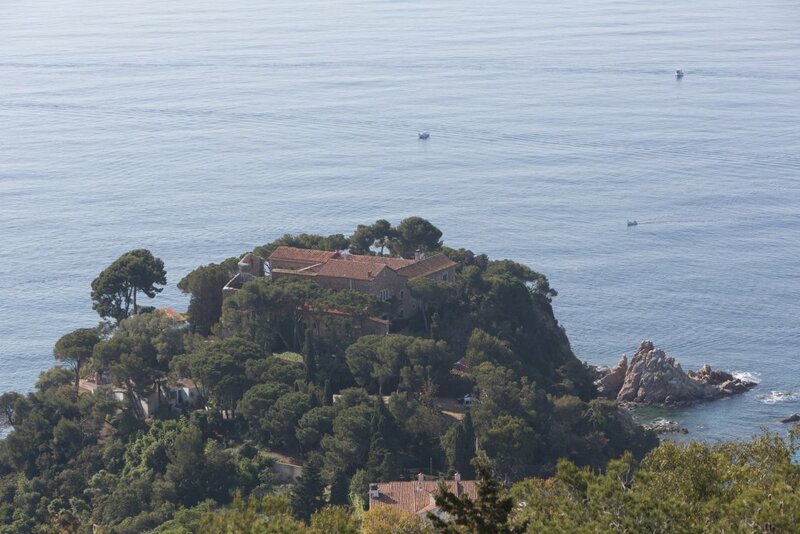 It has two amazing Mediterranean gardens. 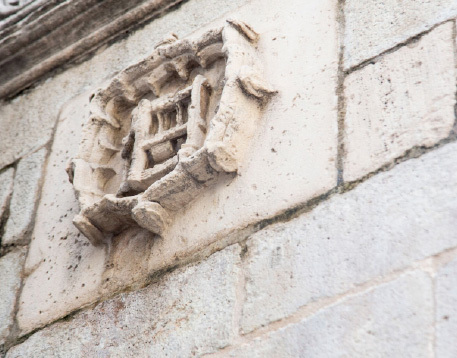 Two symbols of the city that you cannot miss. 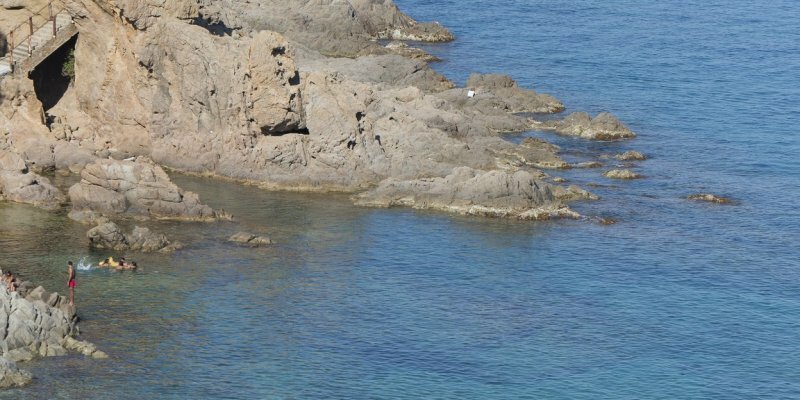 But the natural heritage goes far beyond the romantic gardens because we offer landscapes with a great ecological importance. 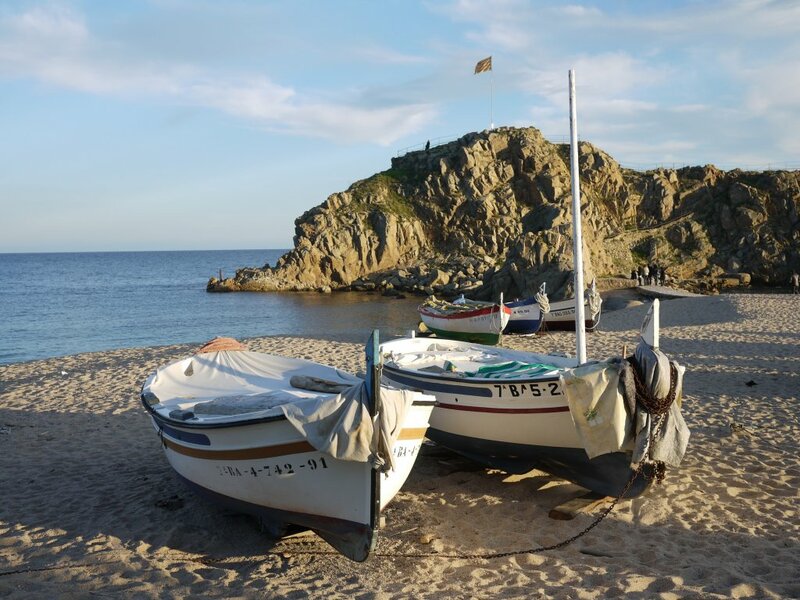 Relax yourself and discover them little by little. 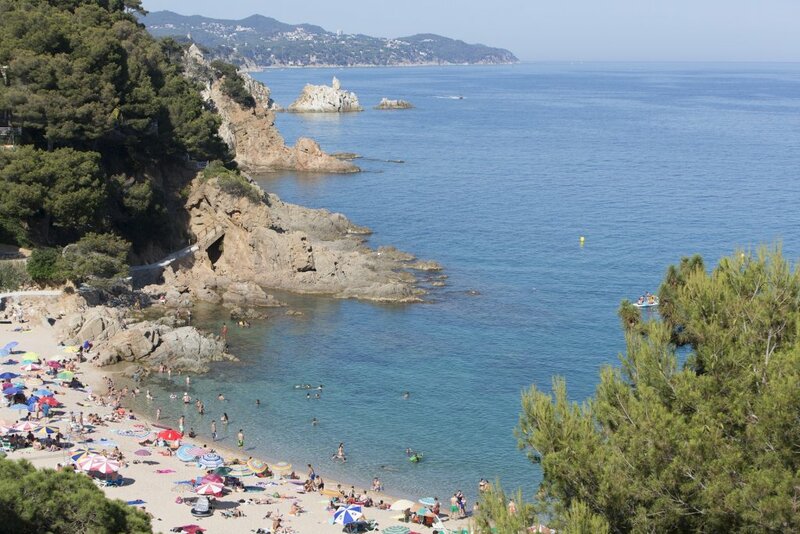 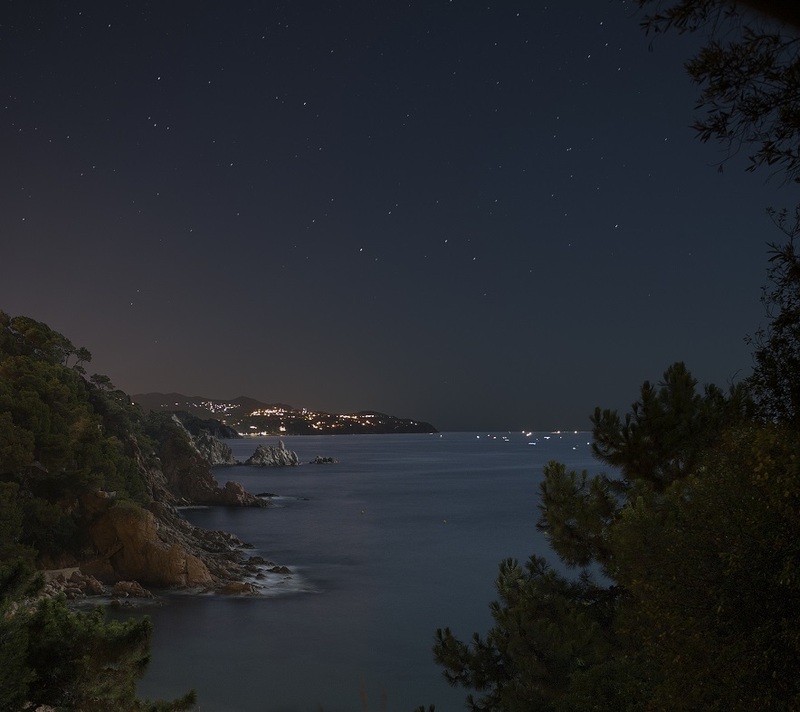 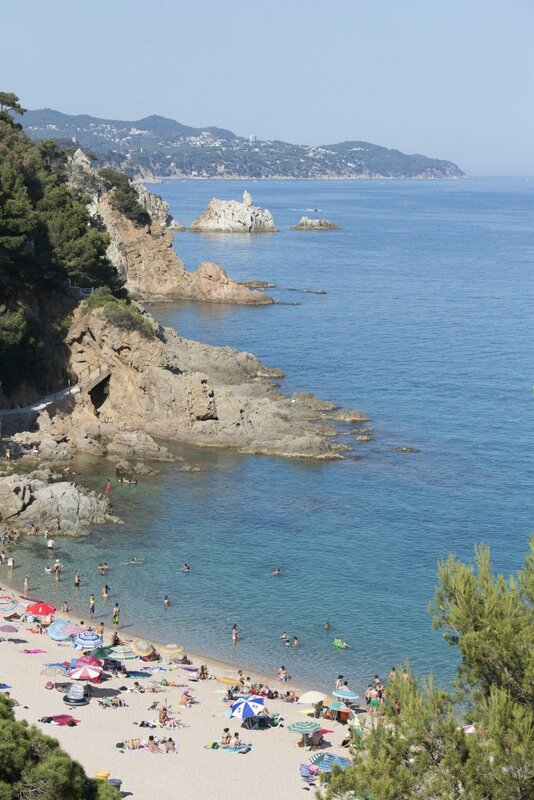 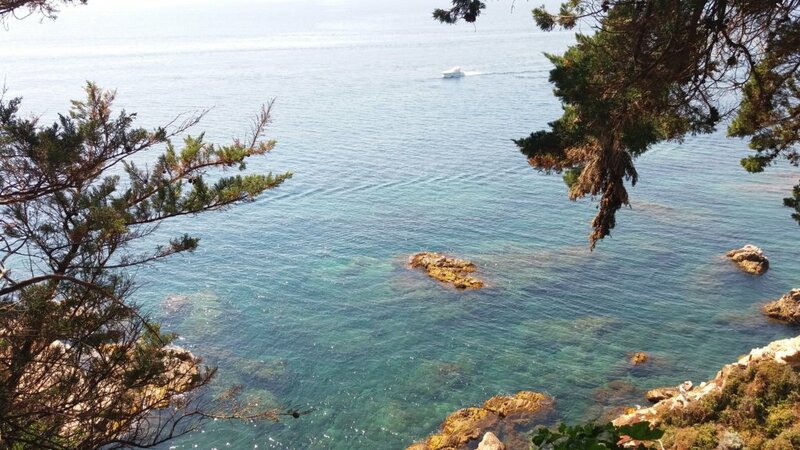 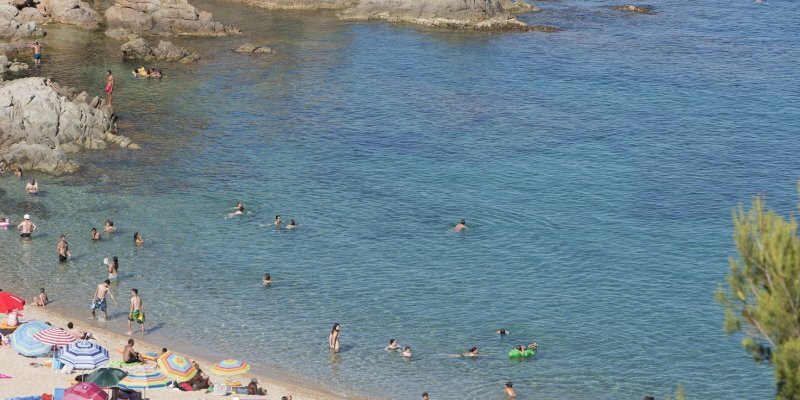 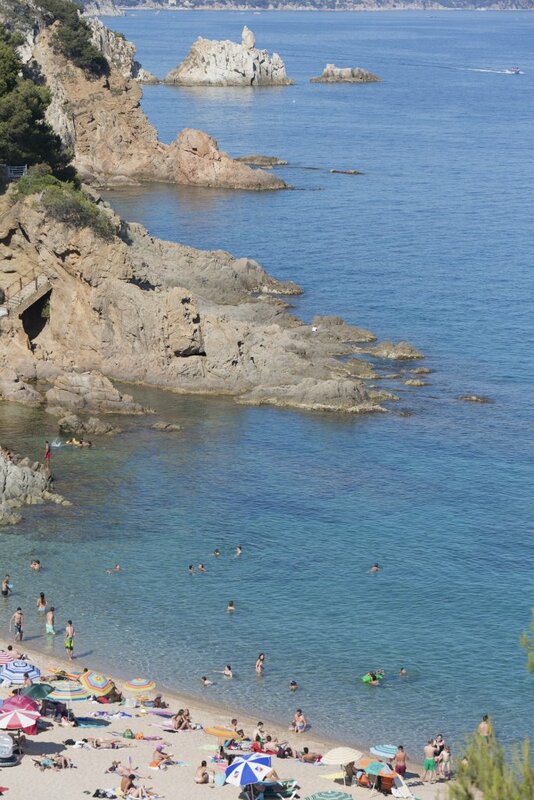 This natural paradise is called Marimurtra, the botanical garden of the Costa Brava. 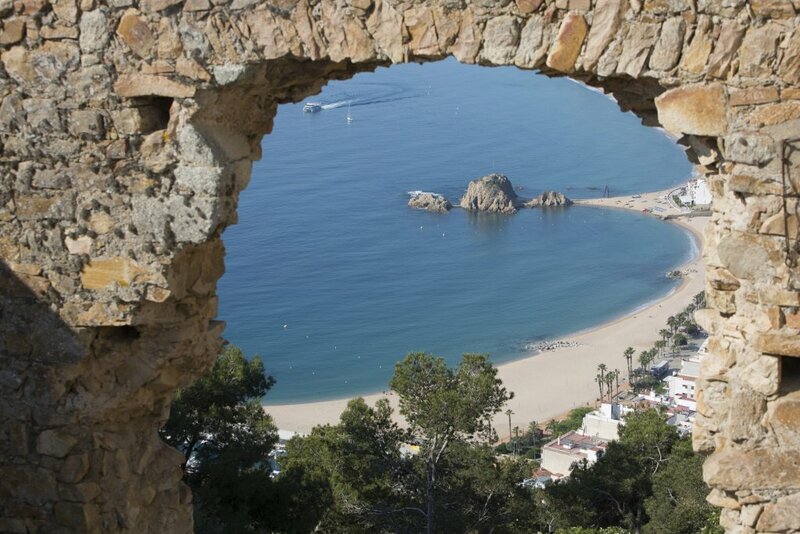 It is a privileged place to enjoy the richness of its botanical, architectural, landscape and human heritage. 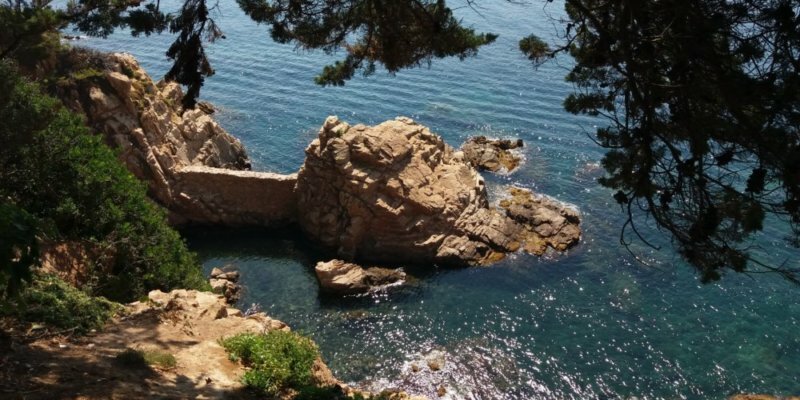 It was declared Cultural Asset of National Interest and it is known for being one of the biggest botanical gardens. 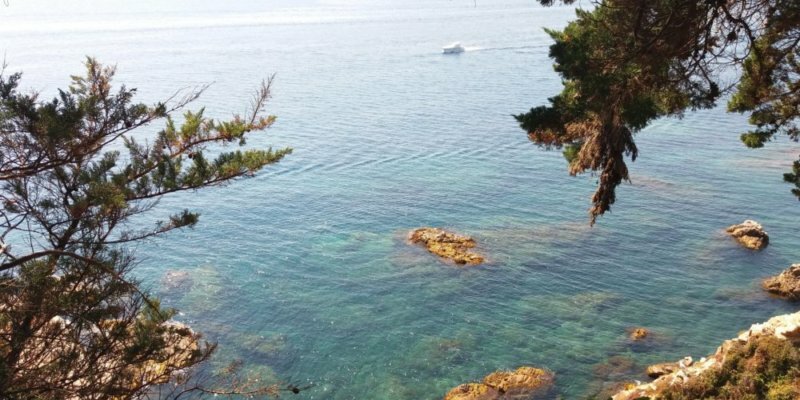 A garden consisting of four acres divided into three gardens with different characteristics that host more than 4,000 plant species from five different continents. 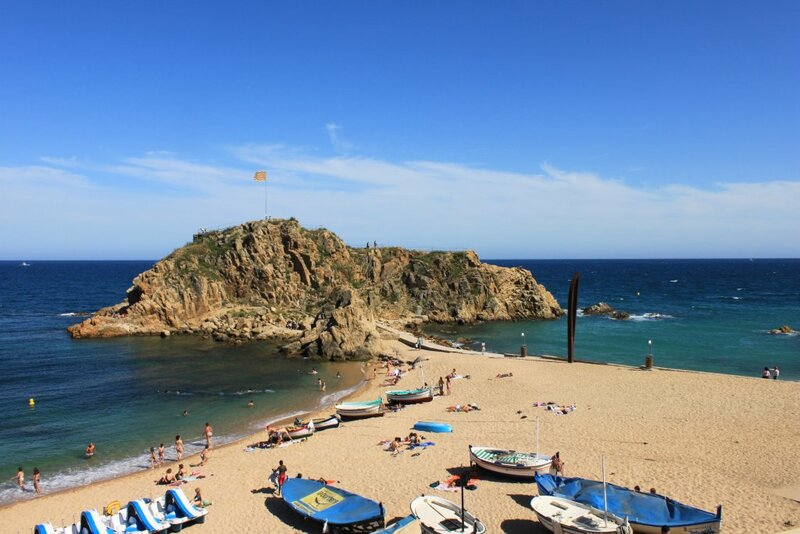 Marimurta was created by Carl Faust almost a hundred years ago. 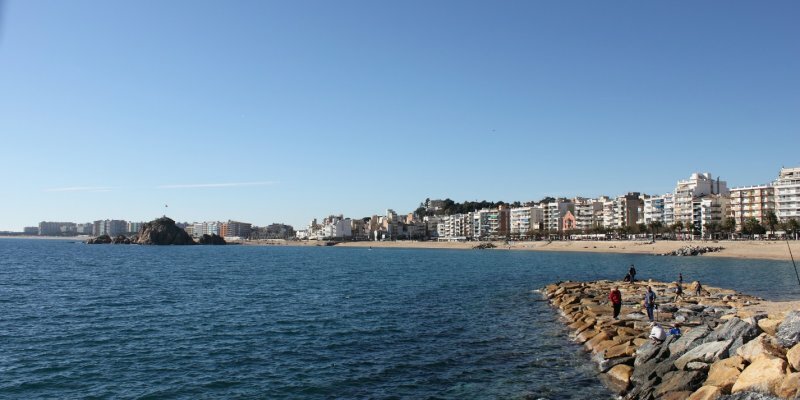 He was a german man passionate about the botany who wanted the establishment of an international scientific headquarters in Blanes. 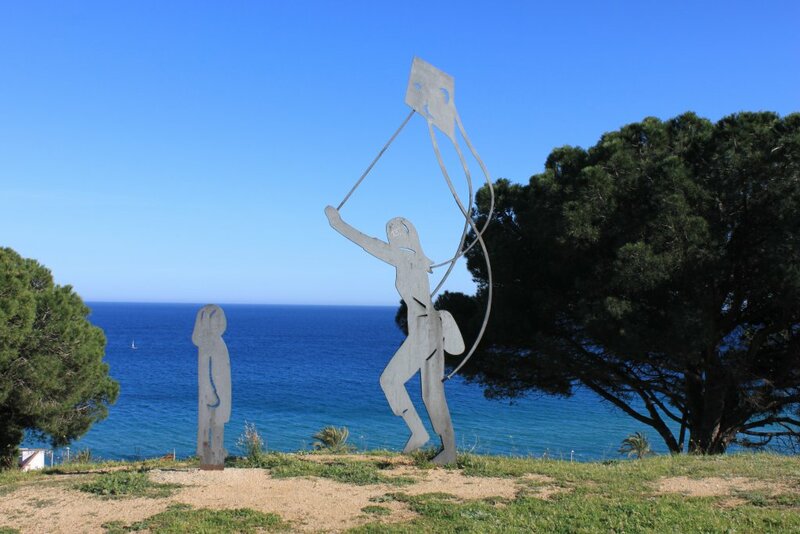 The gardens are open all year round and you’ll find the bus service Garden Open Tours, leaving every 30 minutes from the centre of the town in high season. 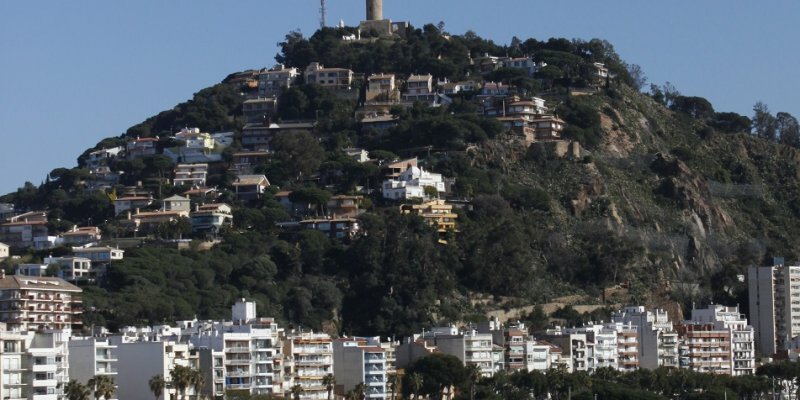 This tropical garden has one of the most interesting cactus living collections in Europe. . 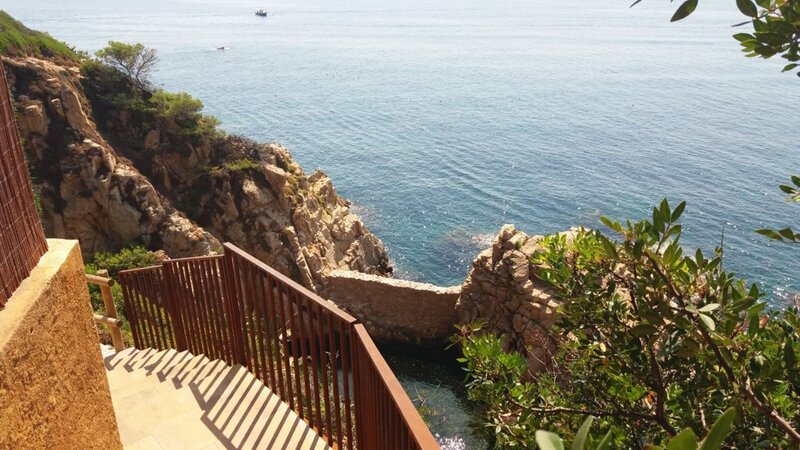 The garden’s collection is made up of more than 7.000 species from all over the world. 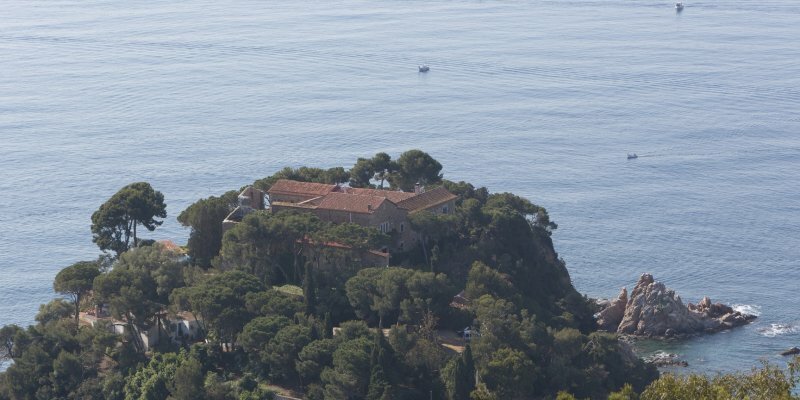 The garden was founded by Ferran Riviere de Caralt, a known industrial engineer, who began creating the garden shortly after acquiring the property in 1945. 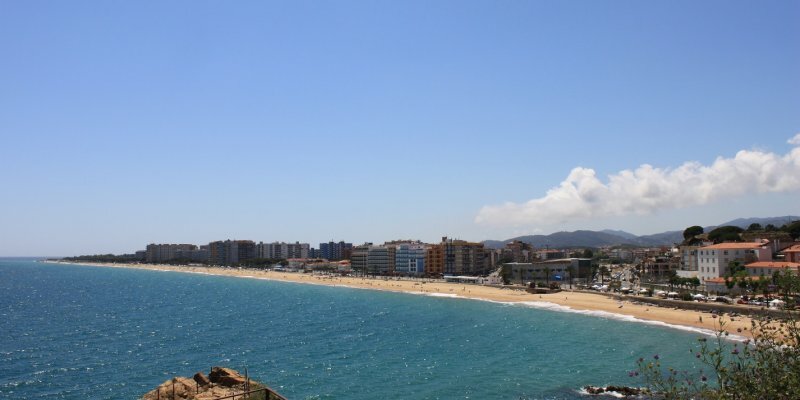 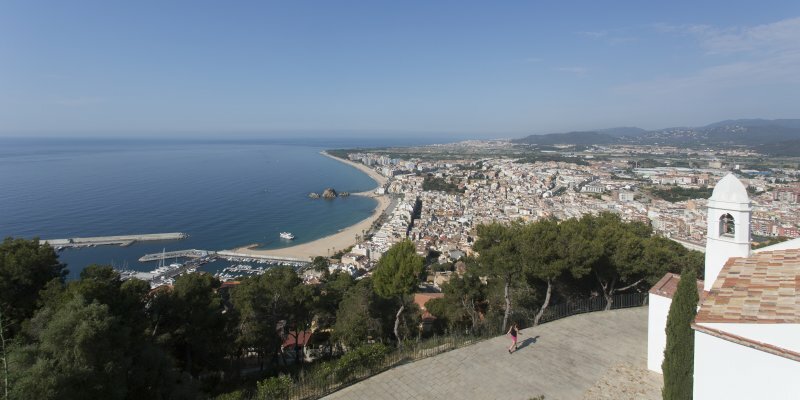 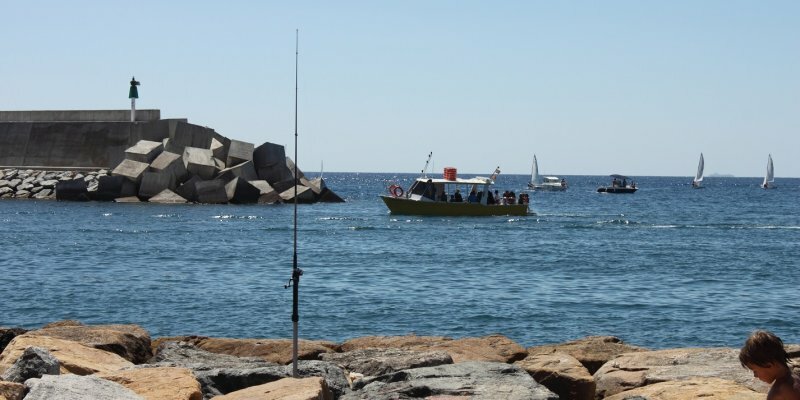 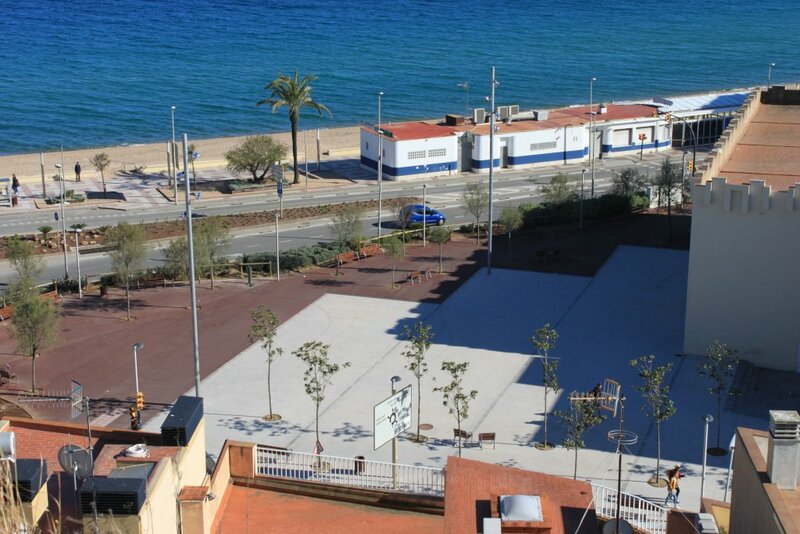 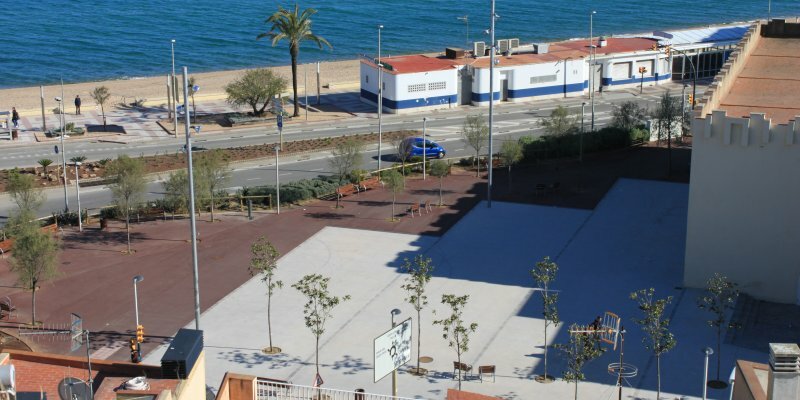 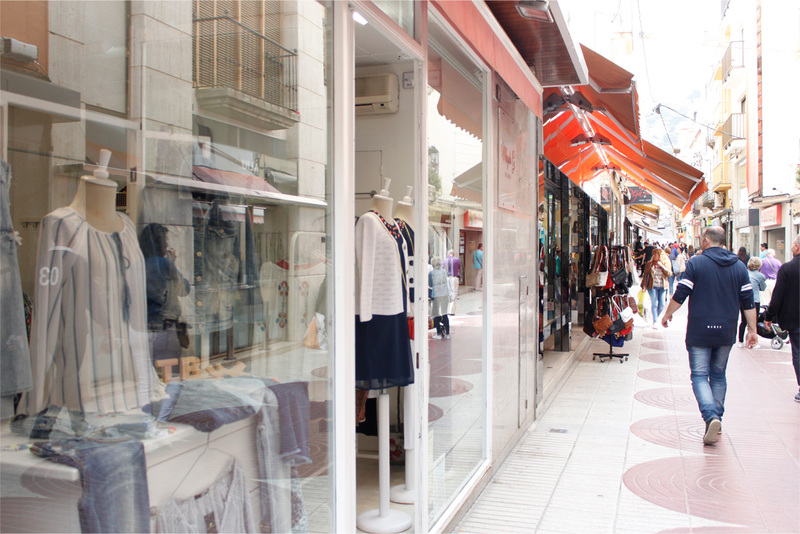 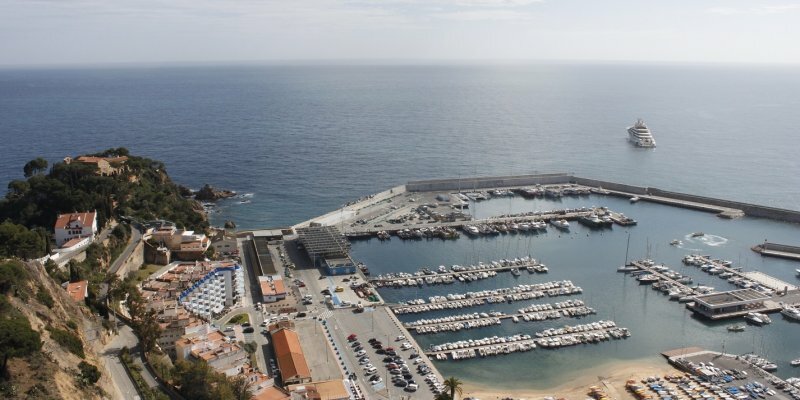 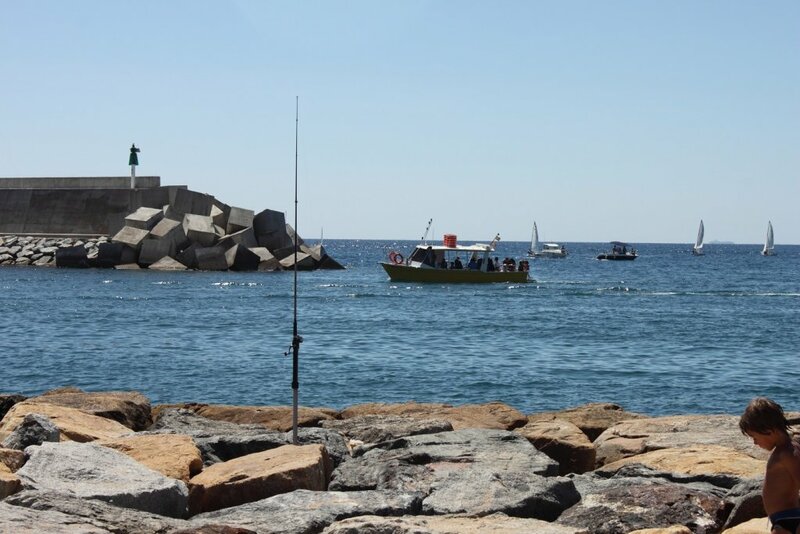 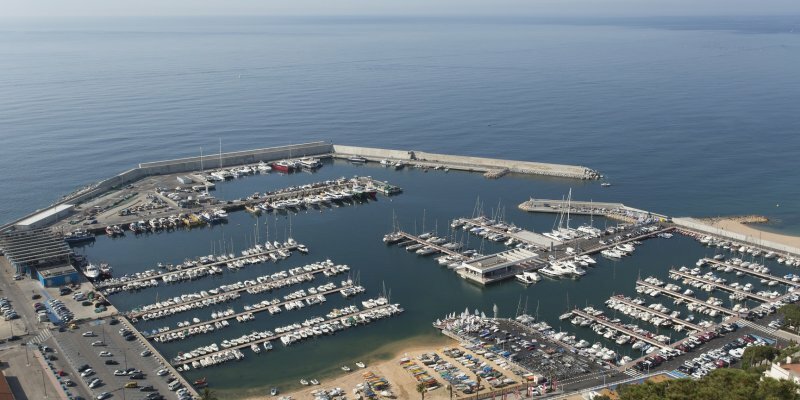 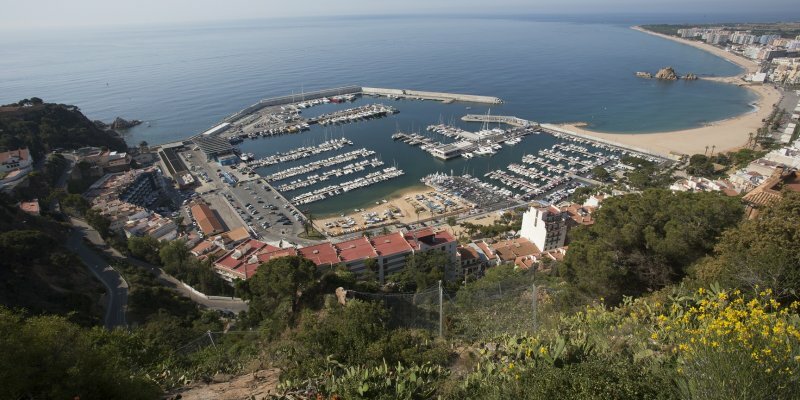 This magic landscape of national interest is considered part of people’s identity in Blanes. 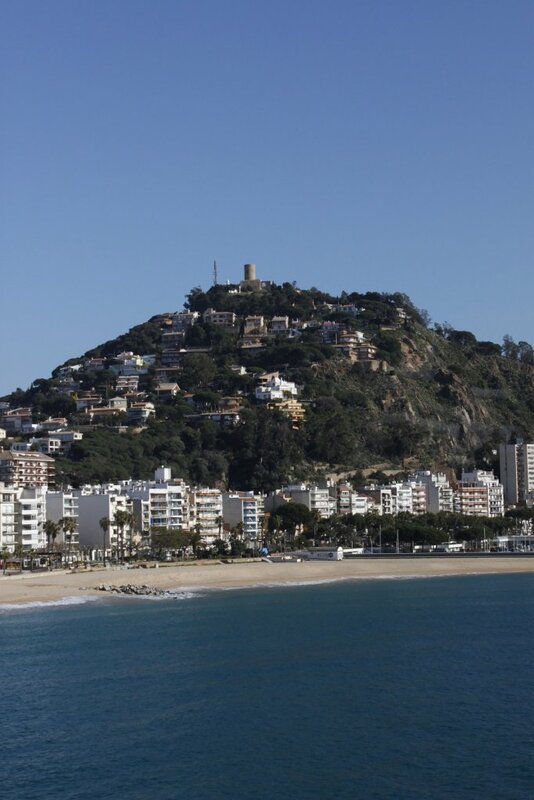 THIS IS AN IMPORTANT AREA for migratory birds and one of the biggest attractions in the area. 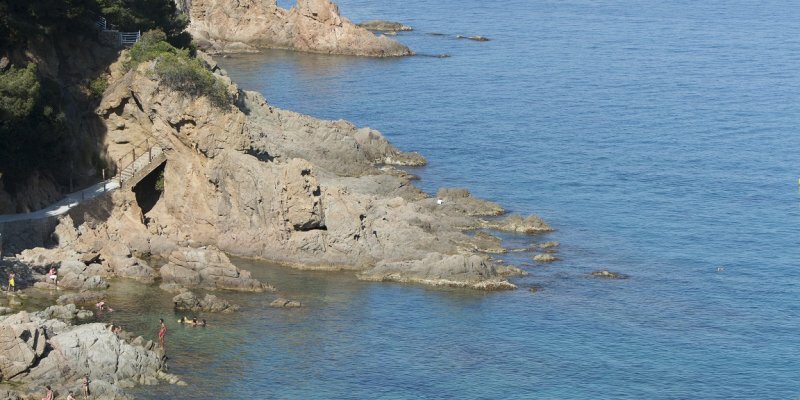 Moreover, it is a space of high ecological value where is possible to see different species, such as the grey heron, the little bittern, the common kingfisher or the common sandpiper. 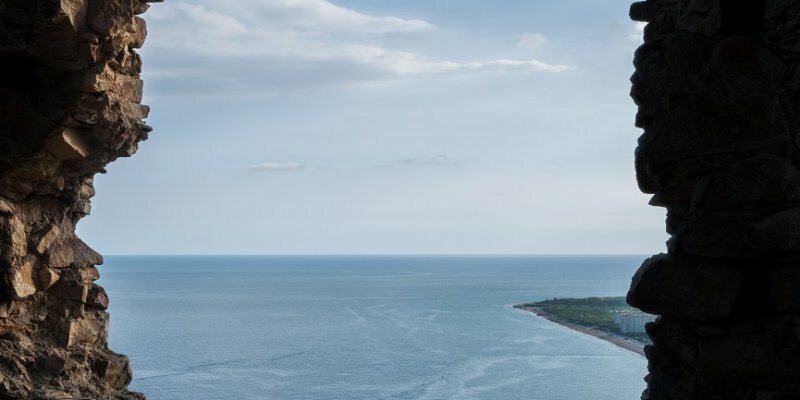 The delta is also the habitat of the Mediterranean tree frog, the Magdalena river turtle and the Natrix maura. 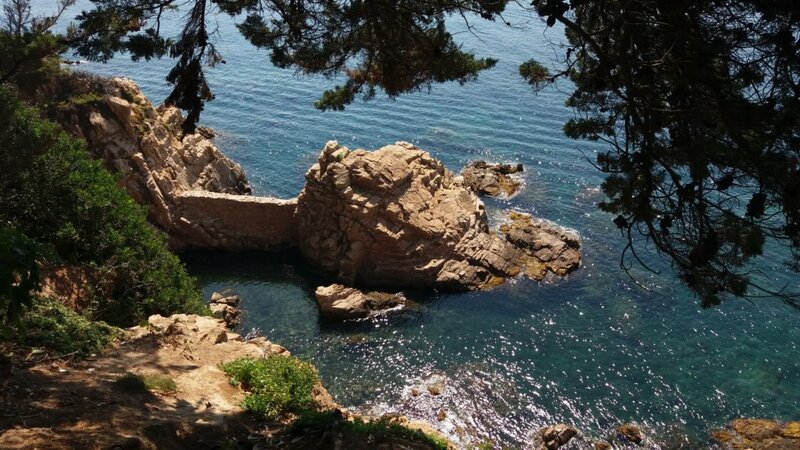 The flora is unique in places like the Tordera. 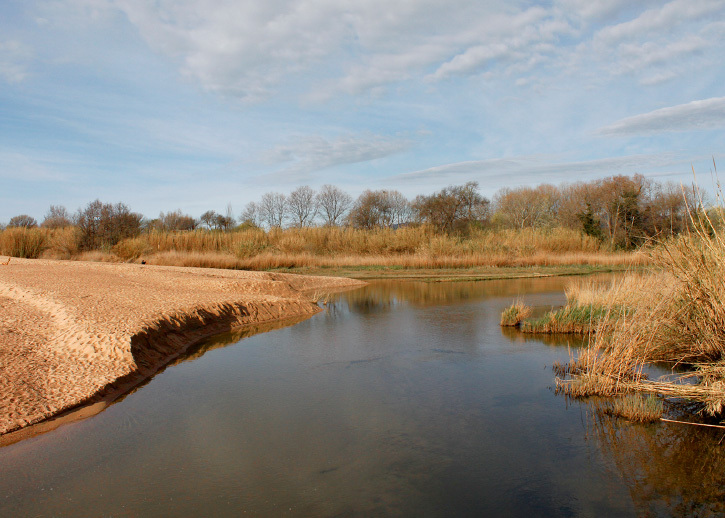 It is possible to find elm trees, aspes trees, ash trees and reed fields. 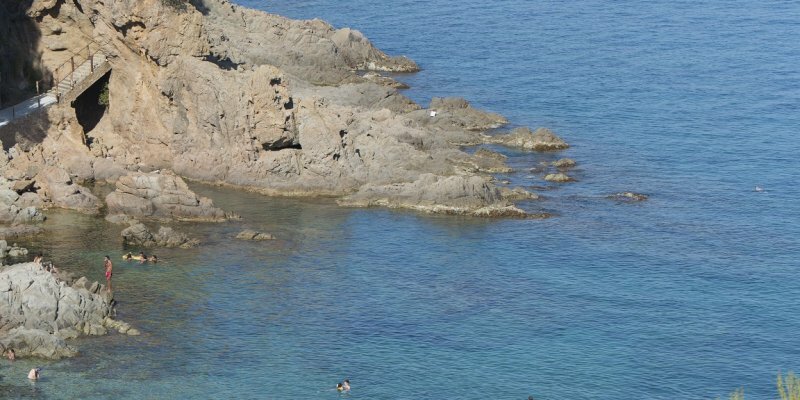 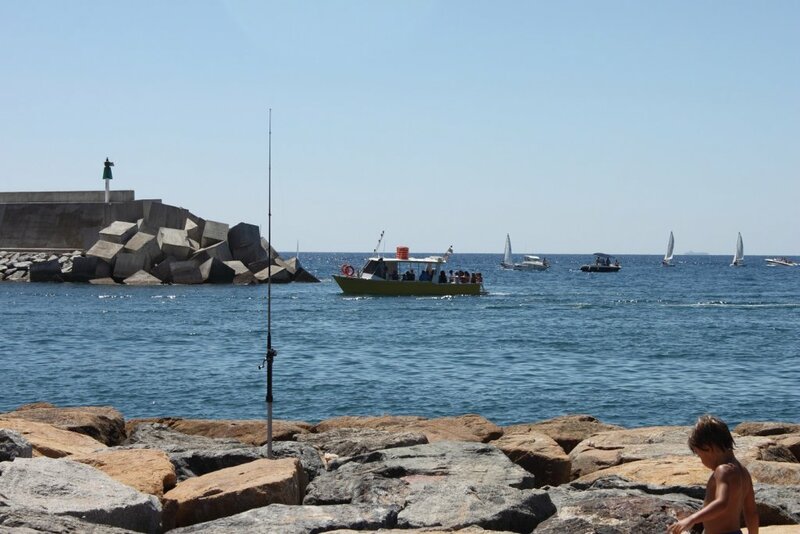 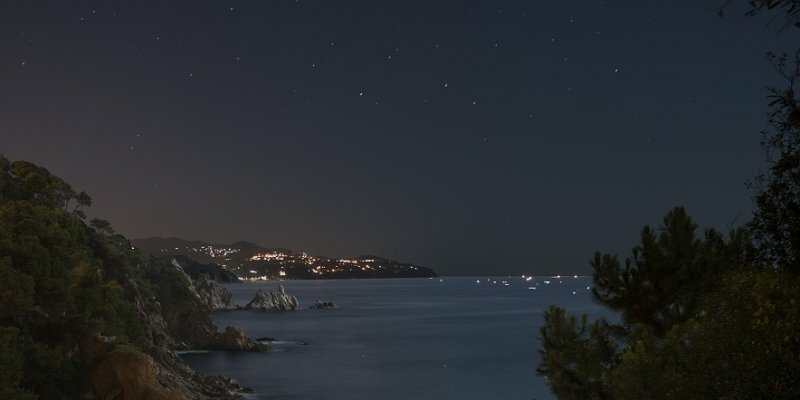 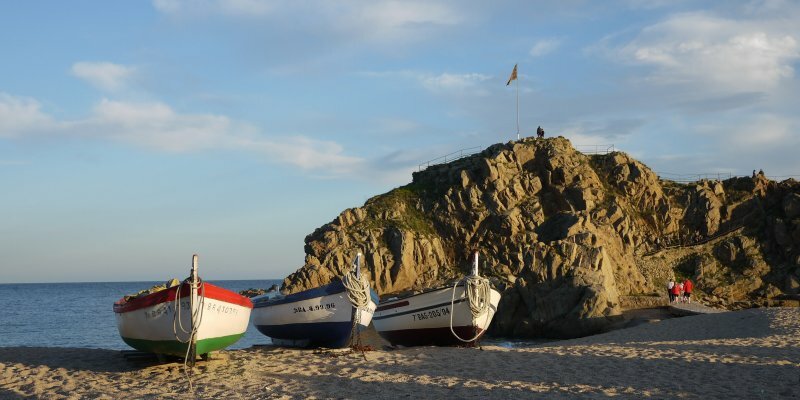 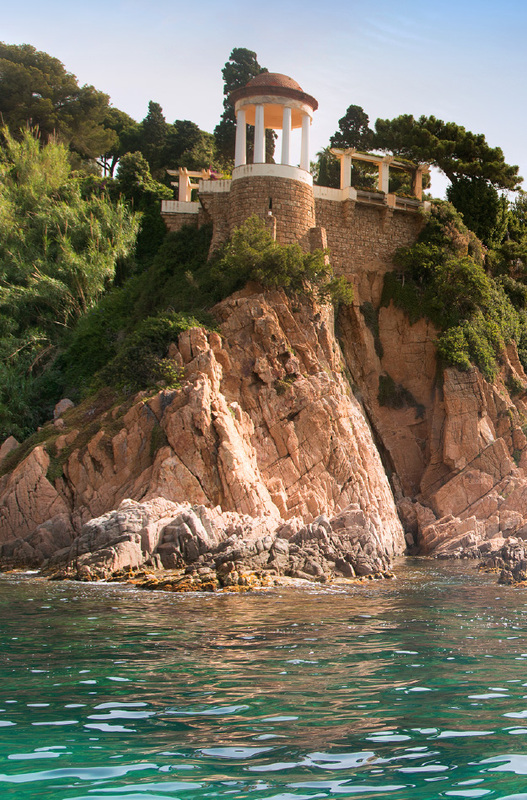 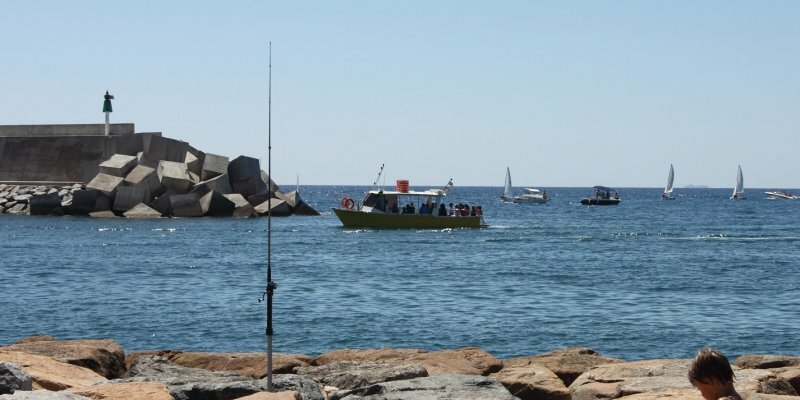 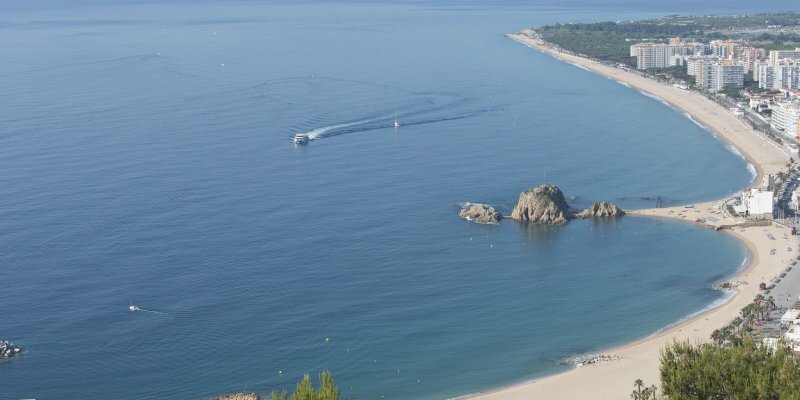 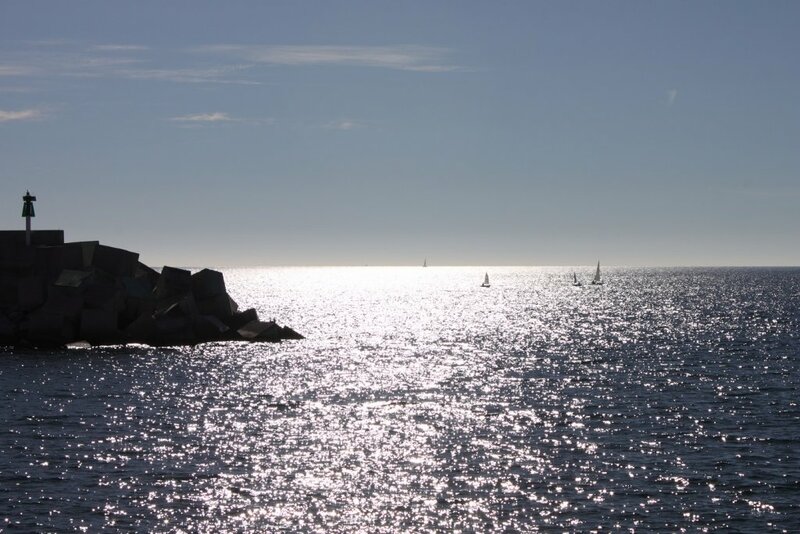 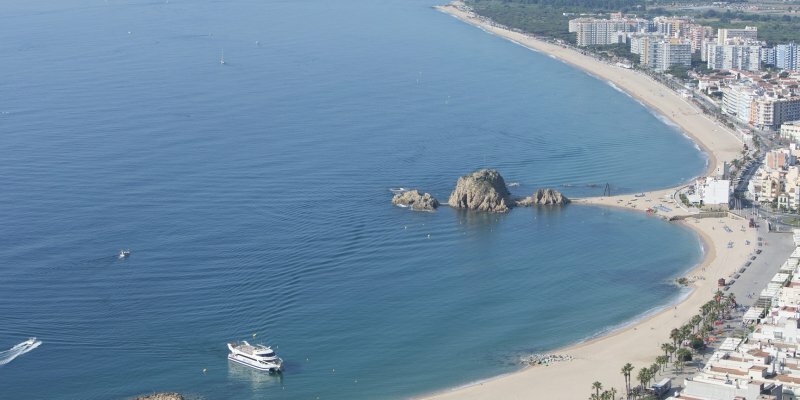 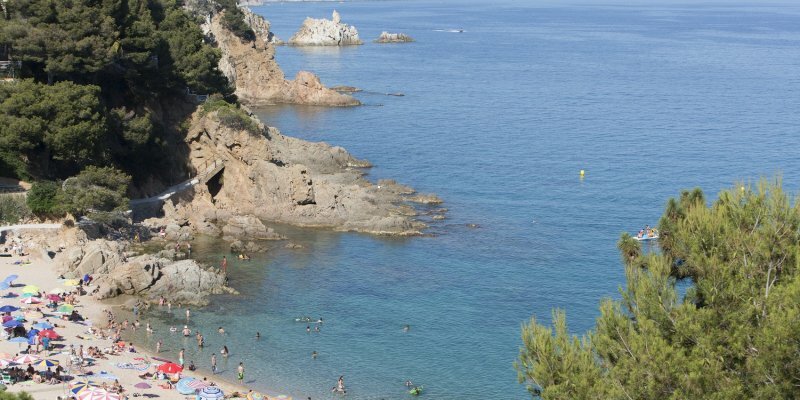 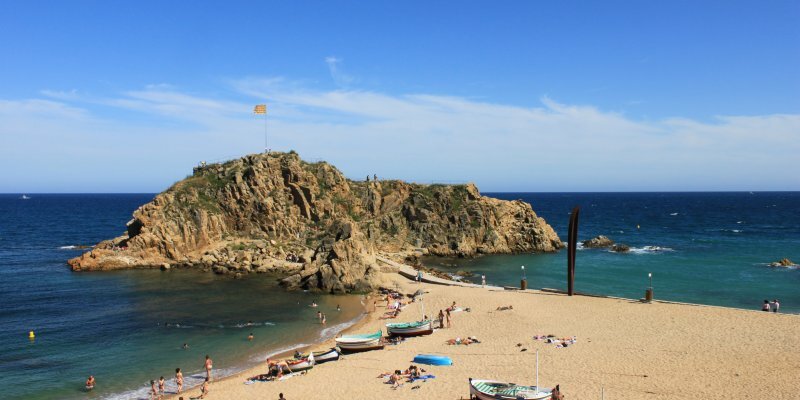 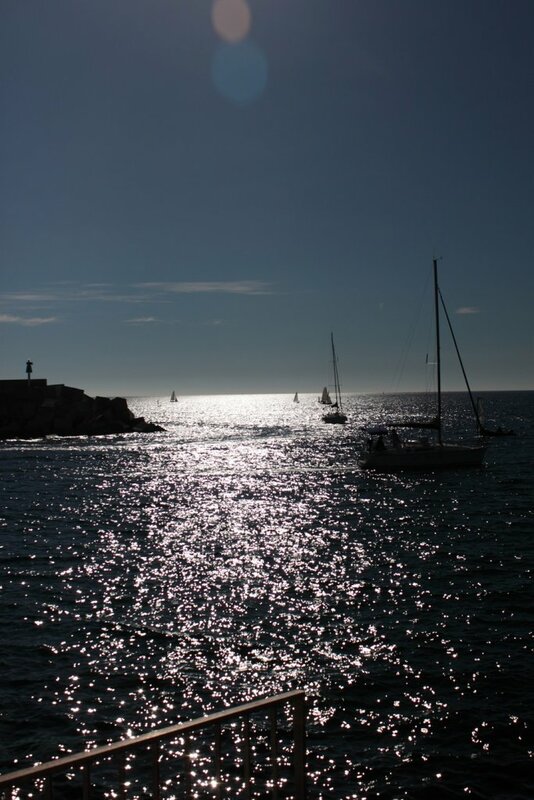 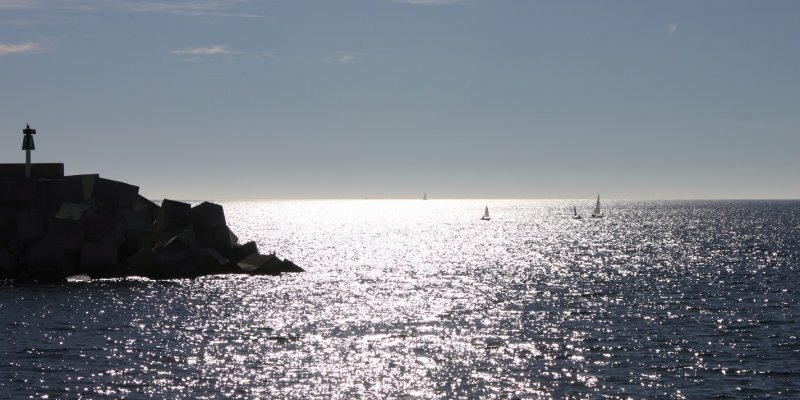 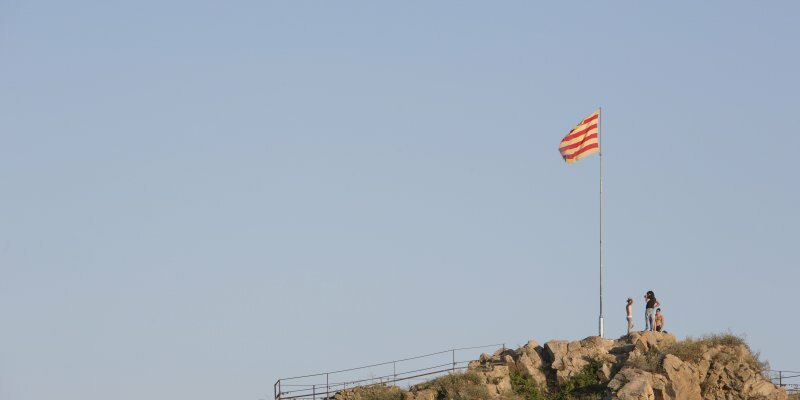 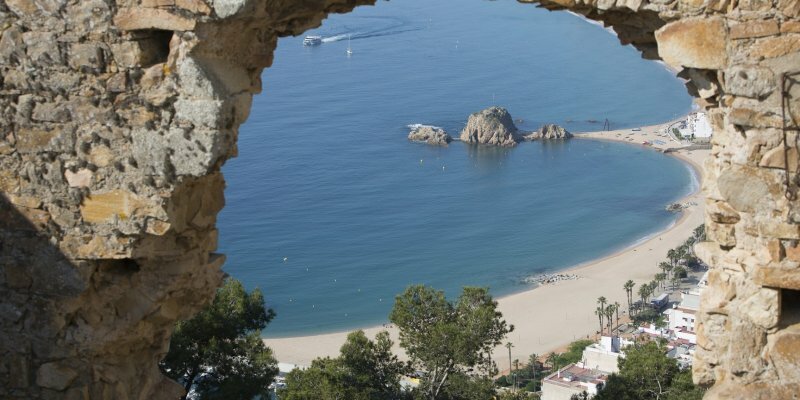 KNOWN AS THE SYMBOL OF THE CITY, this rock is the beginning of La Costa Brava. 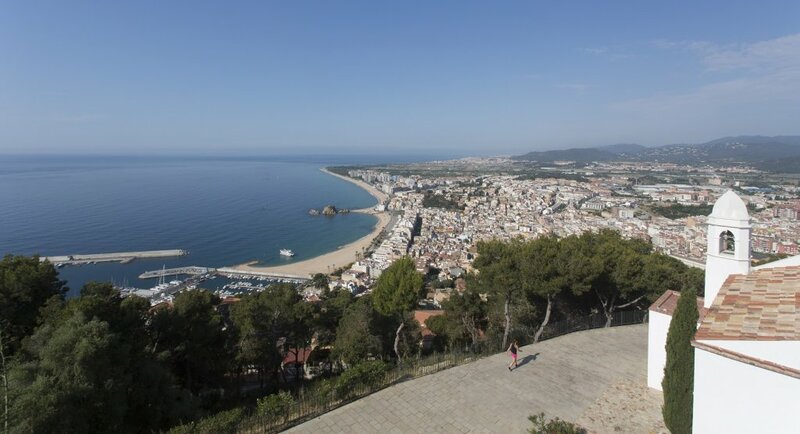 It is also a natural lookout point overlooking the beach side of the city. 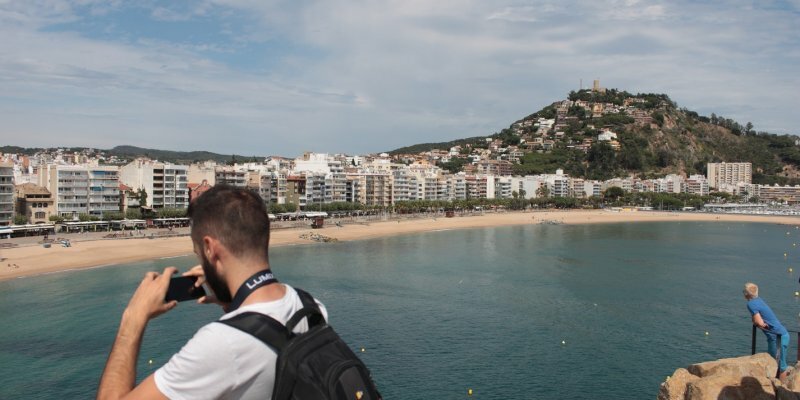 And do you want an advice? 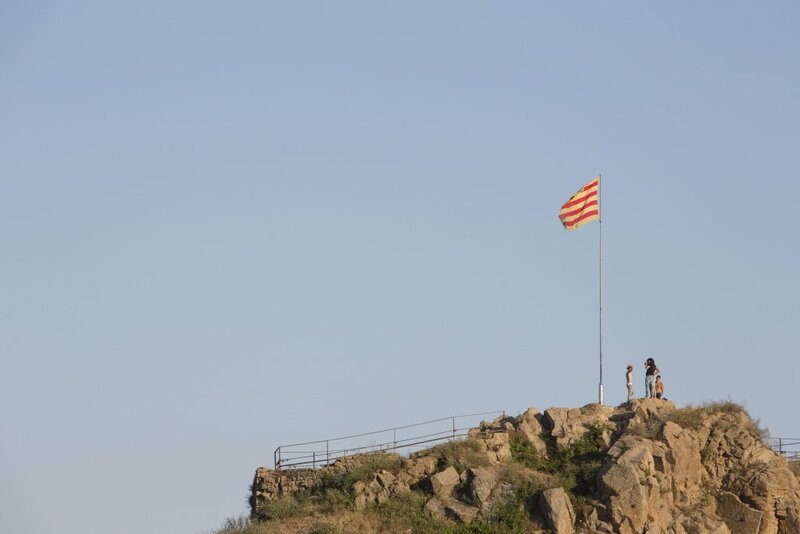 Reach the highest point of the rock if you want to enjoy an amazing view of the sea. 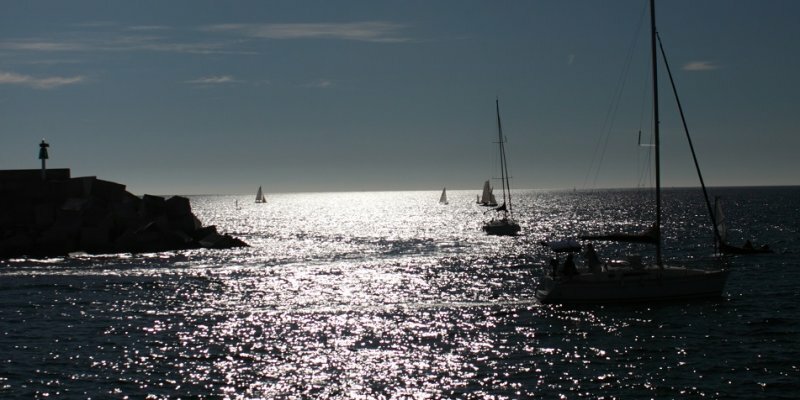 Let the wind blow through your hair and let yourself get carried away by the calm. 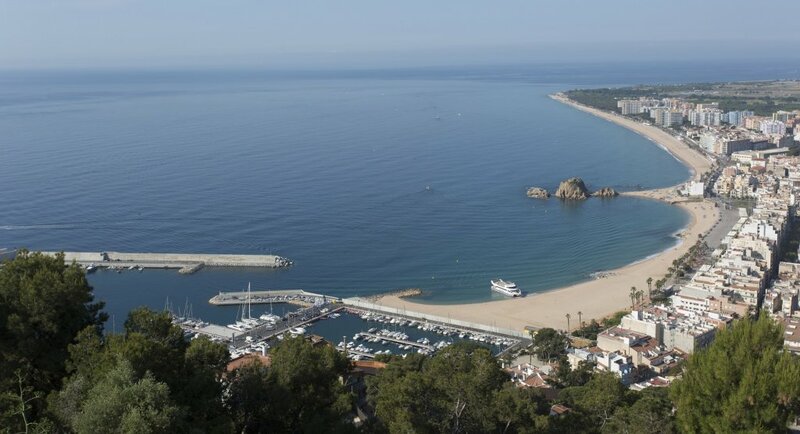 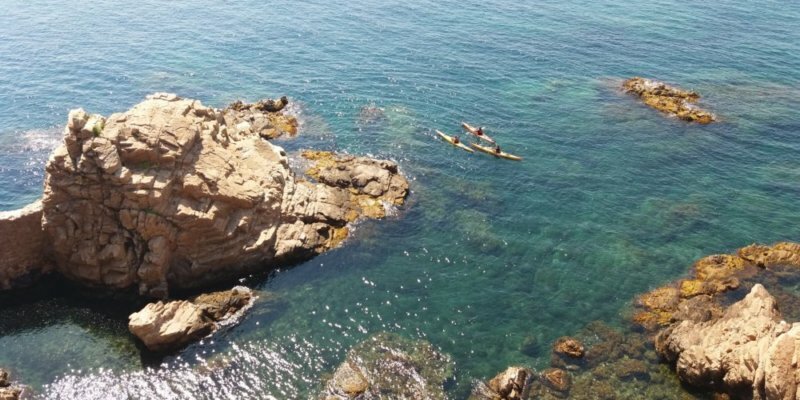 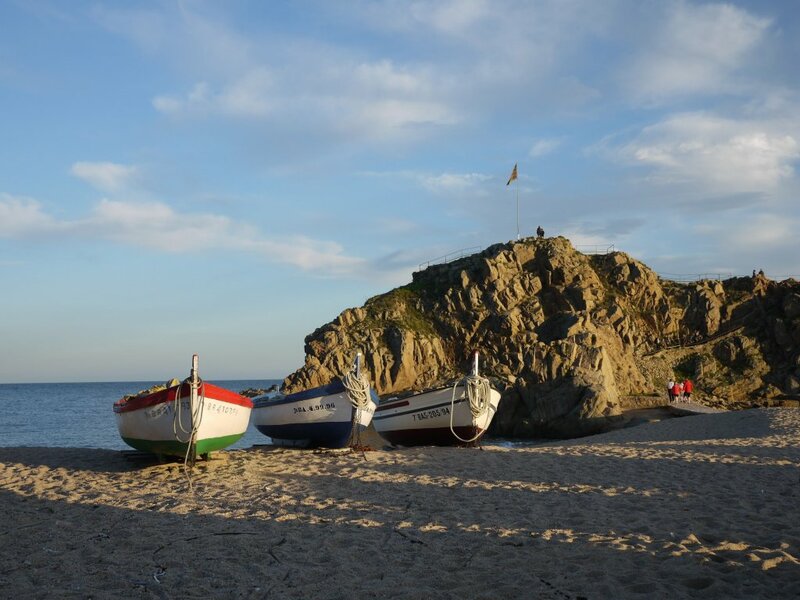 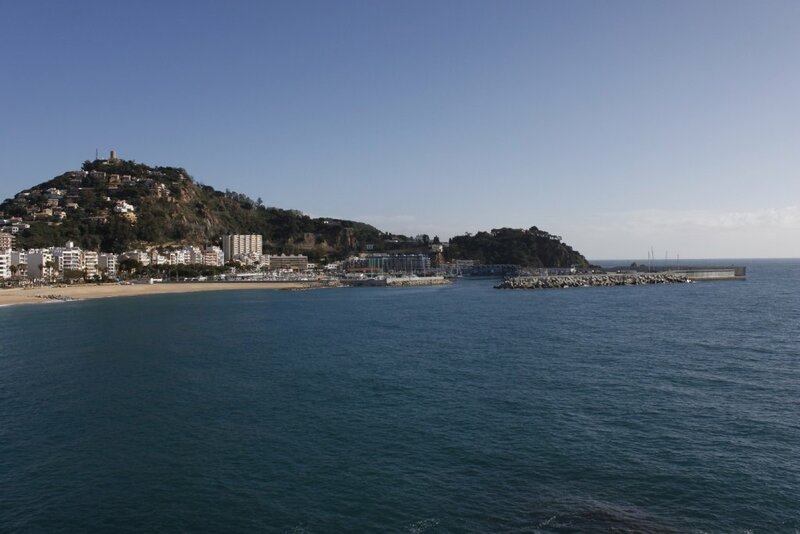 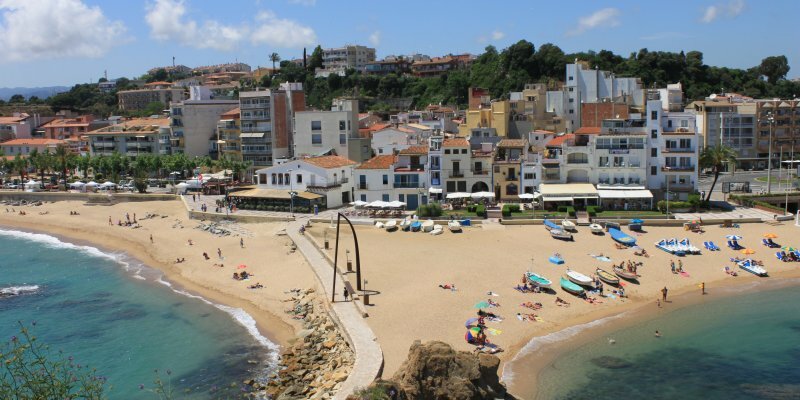 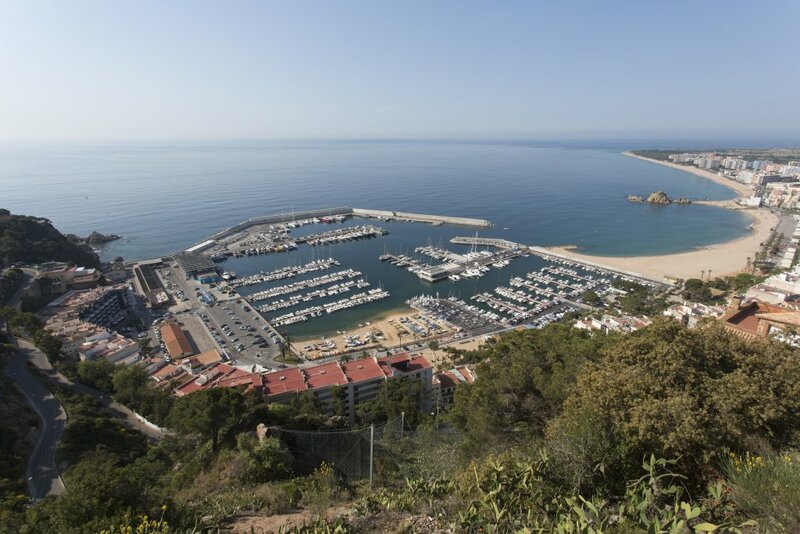 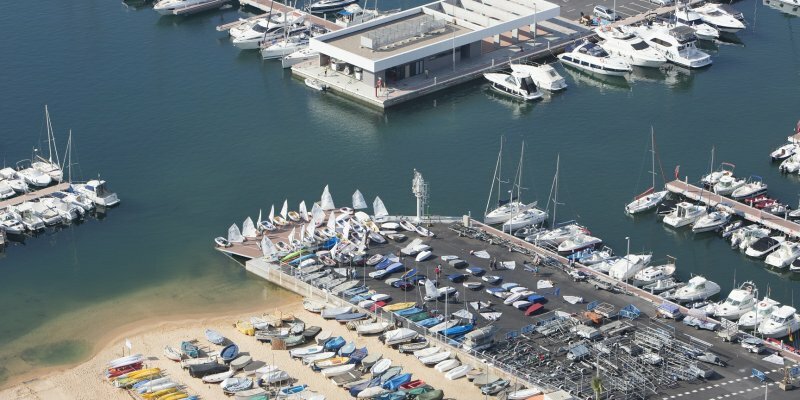 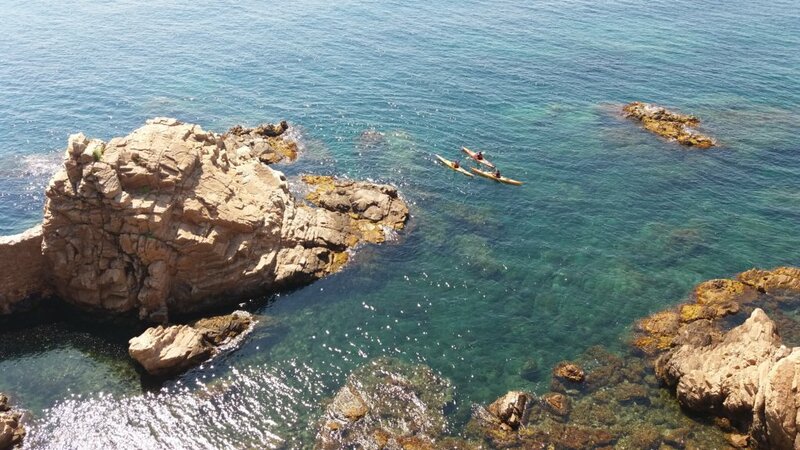 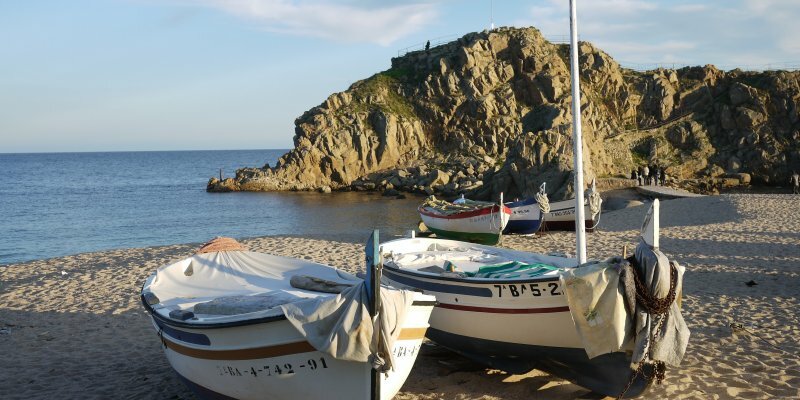 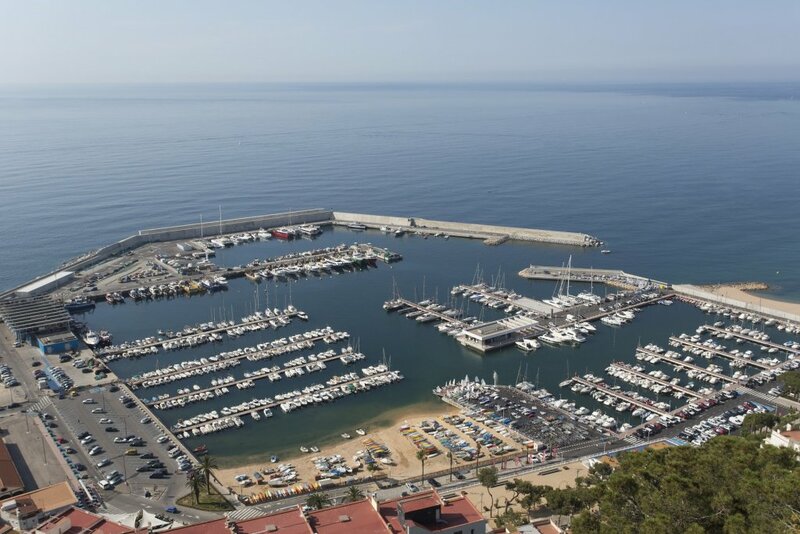 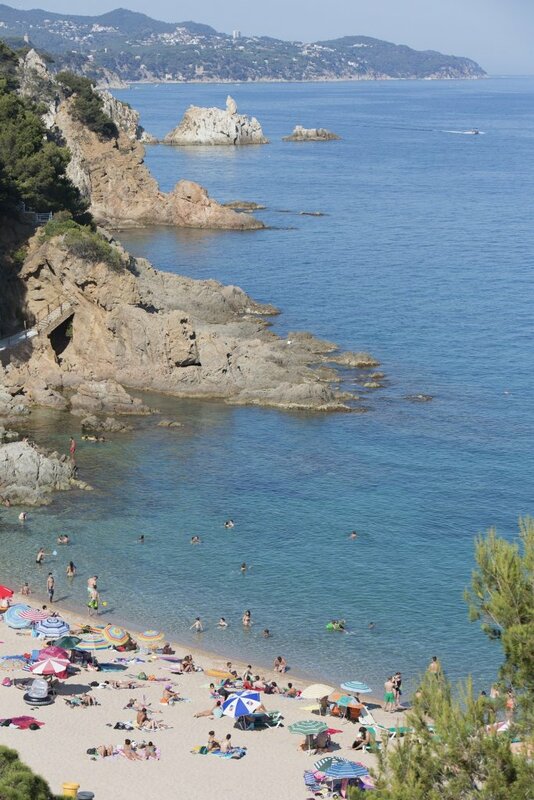 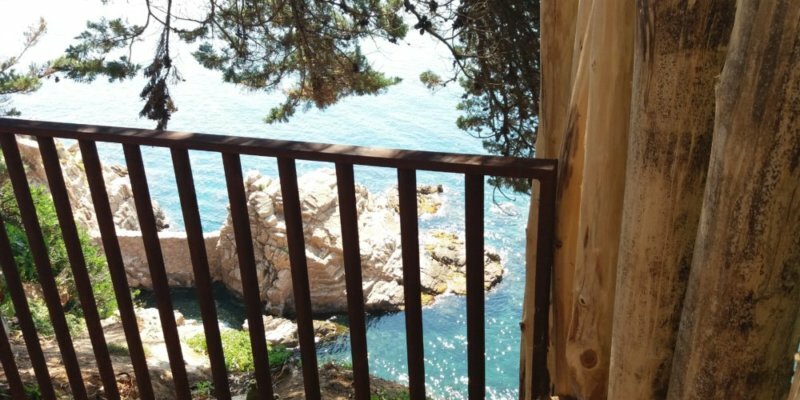 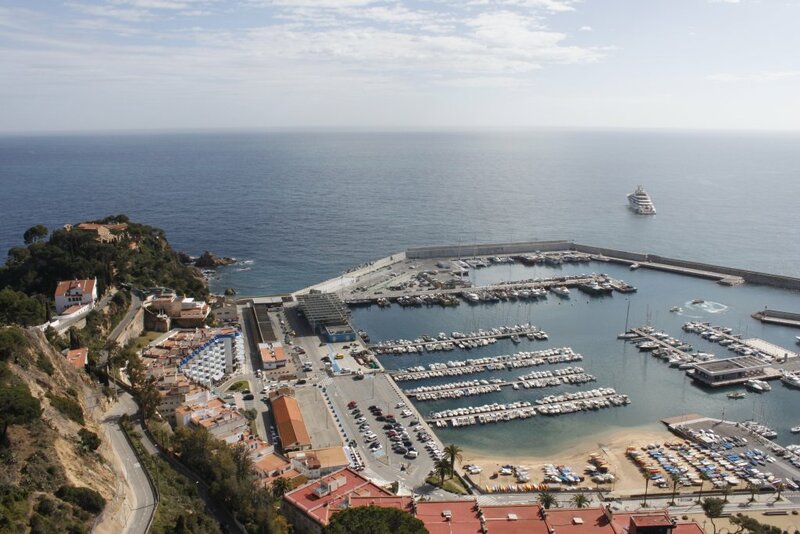 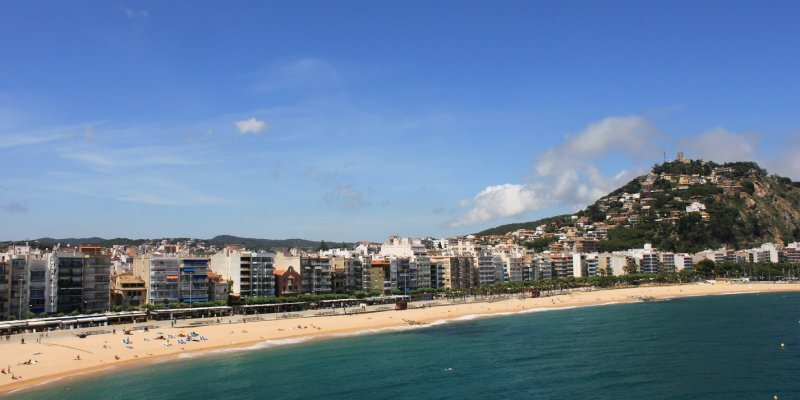 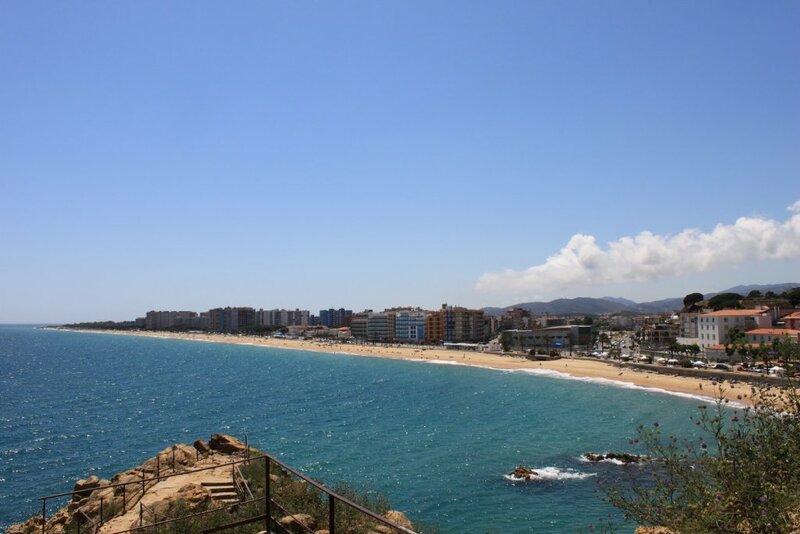 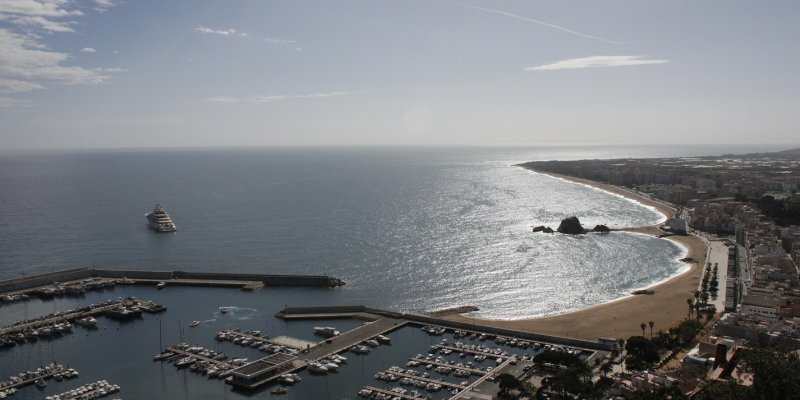 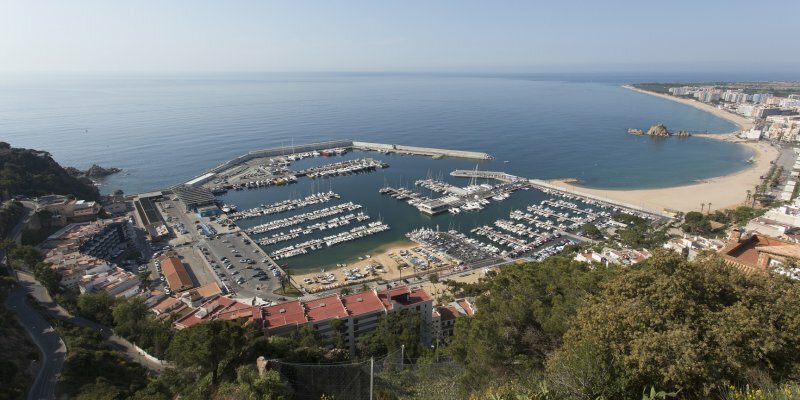 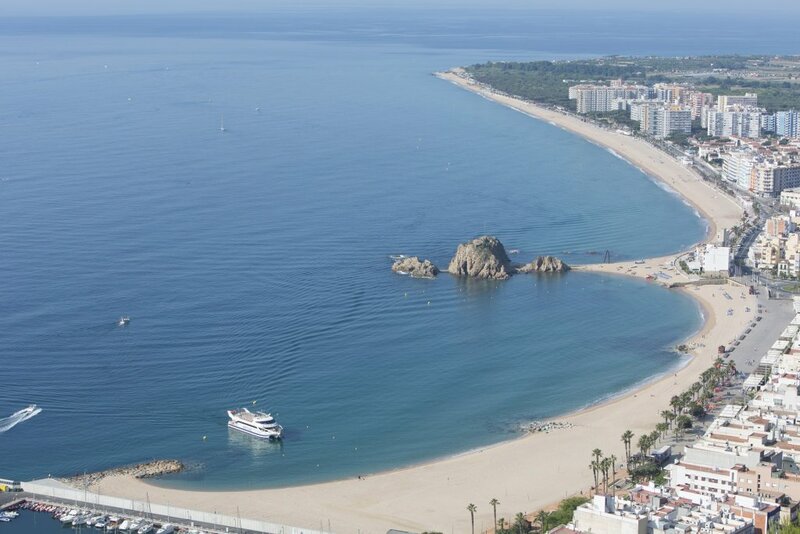 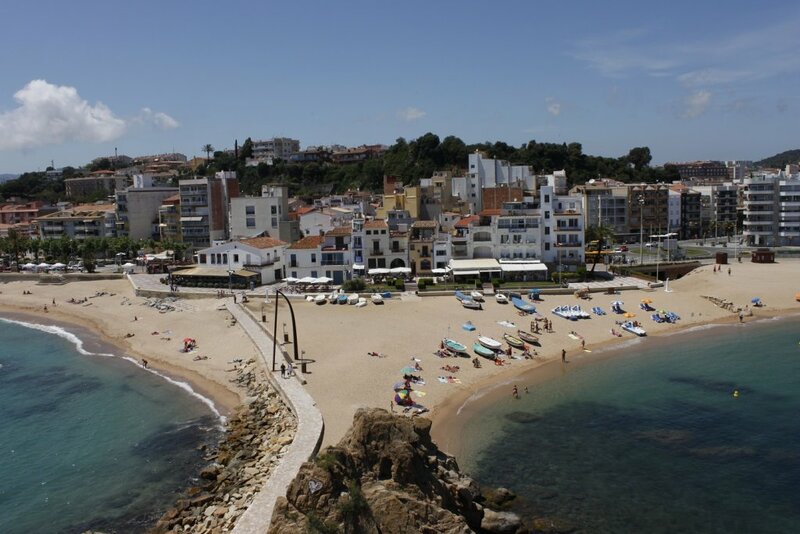 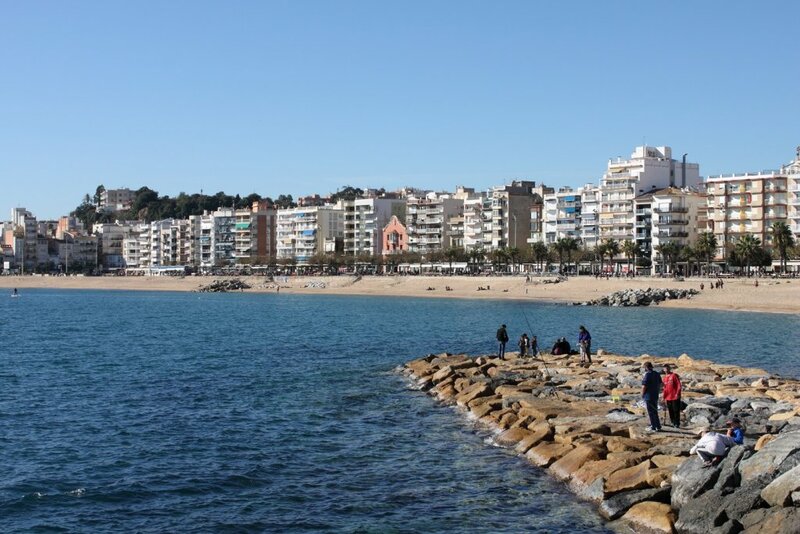 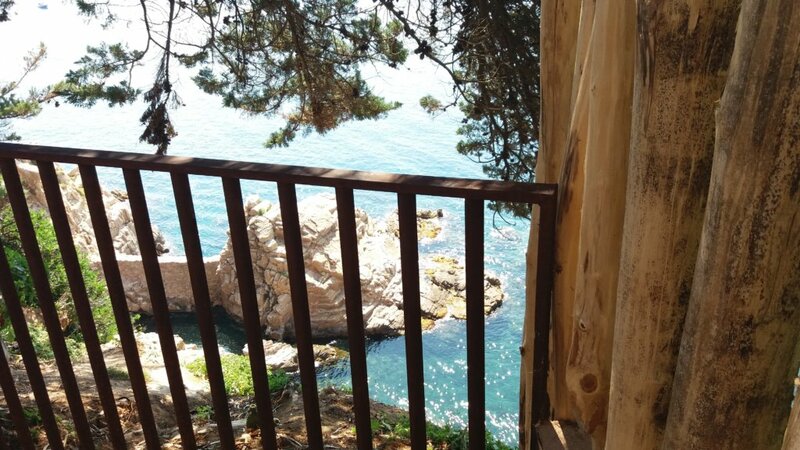 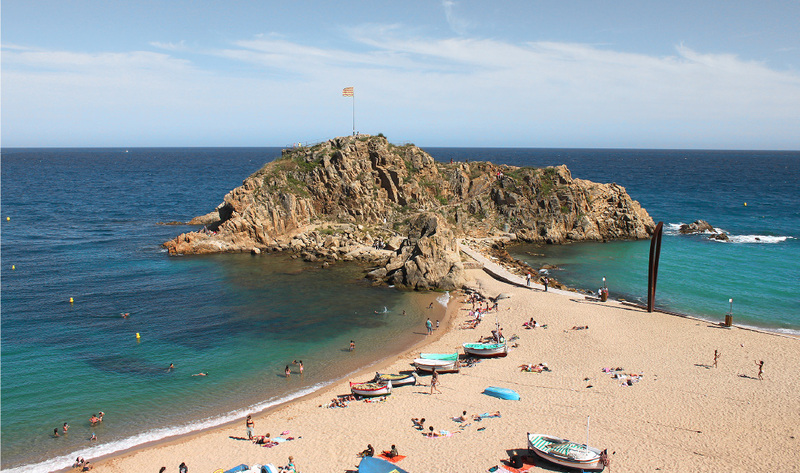 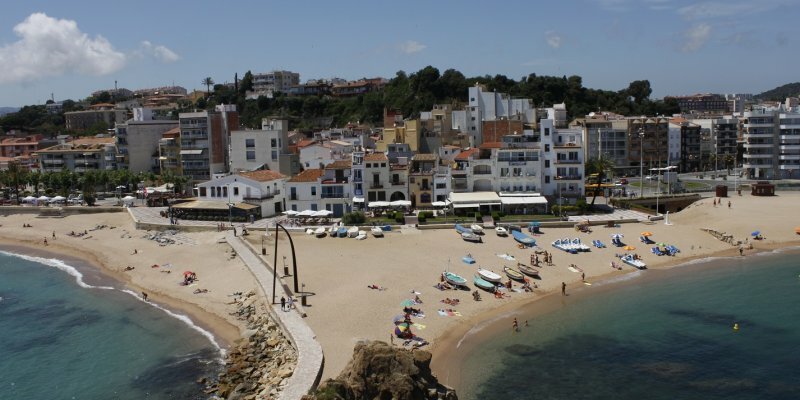 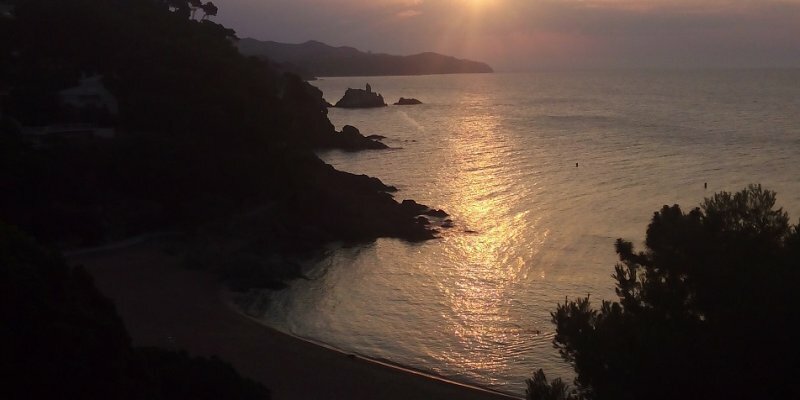 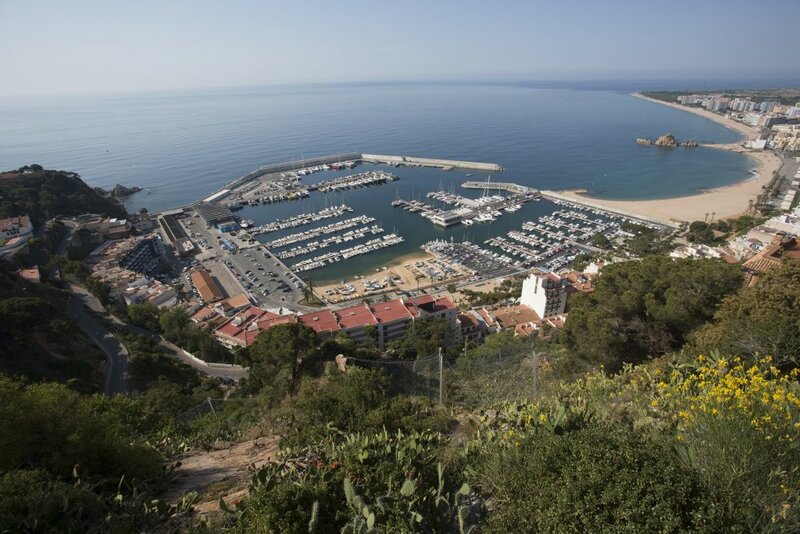 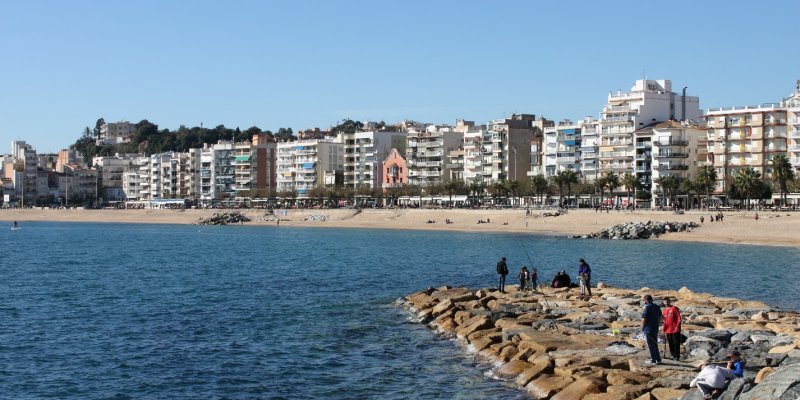 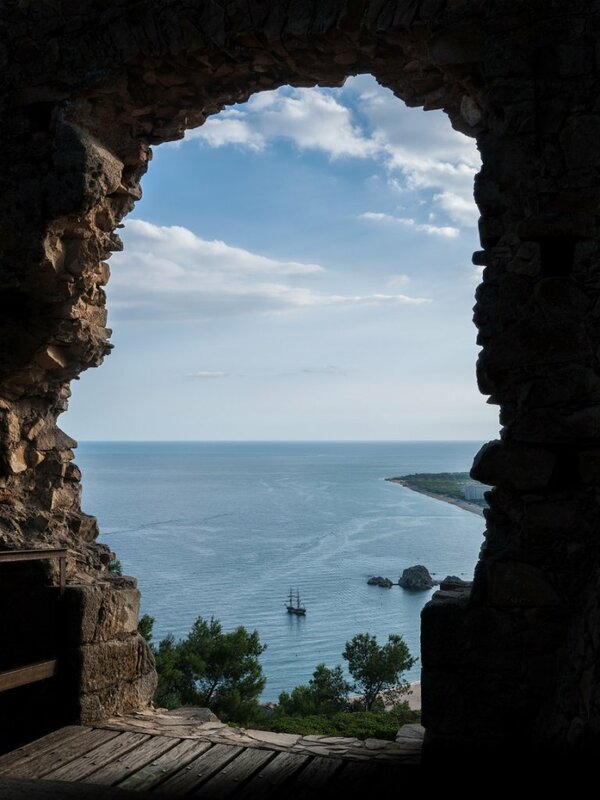 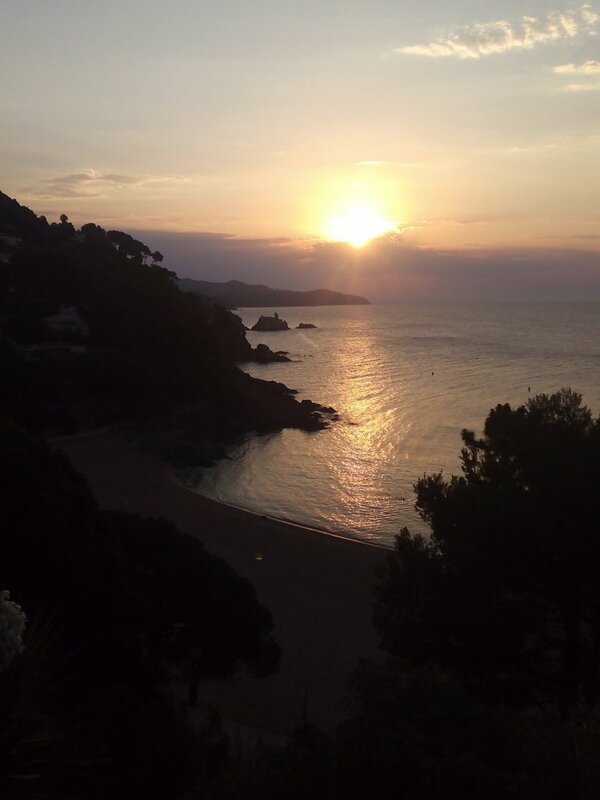 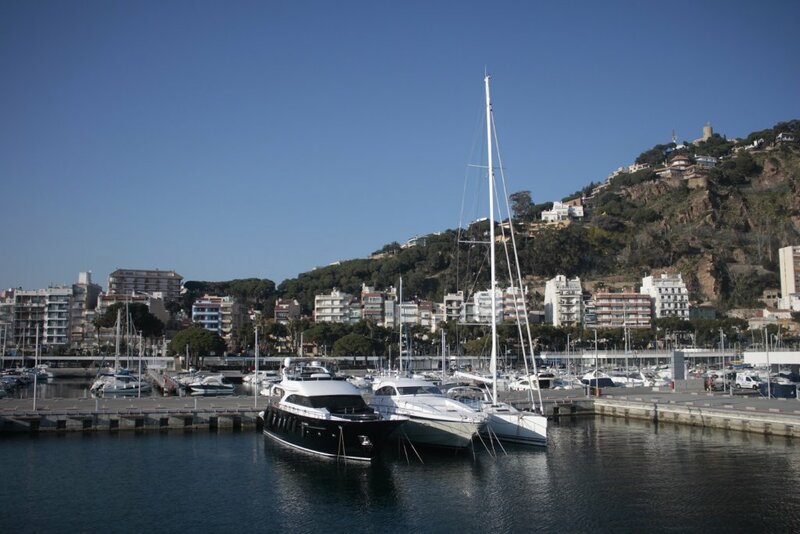 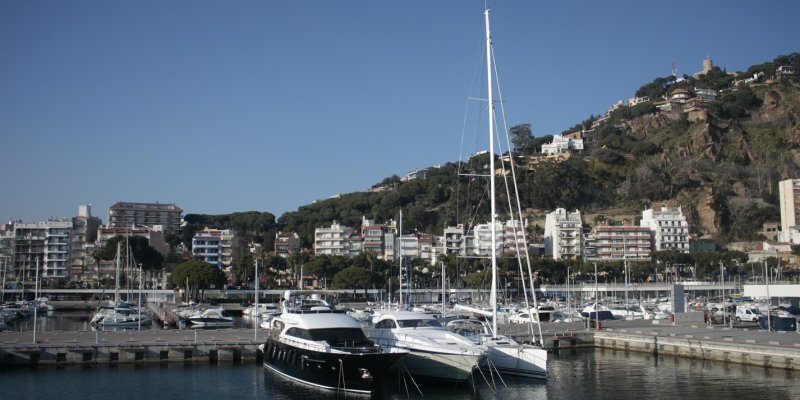 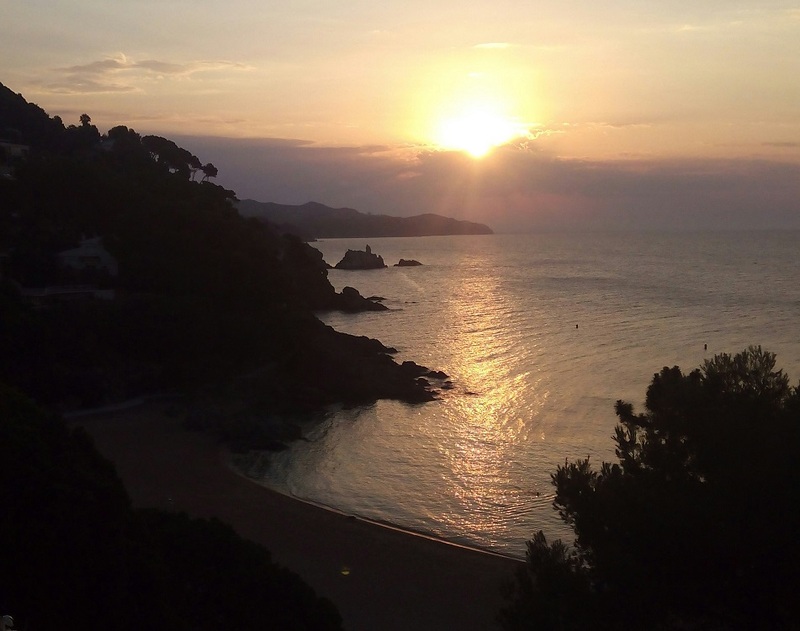 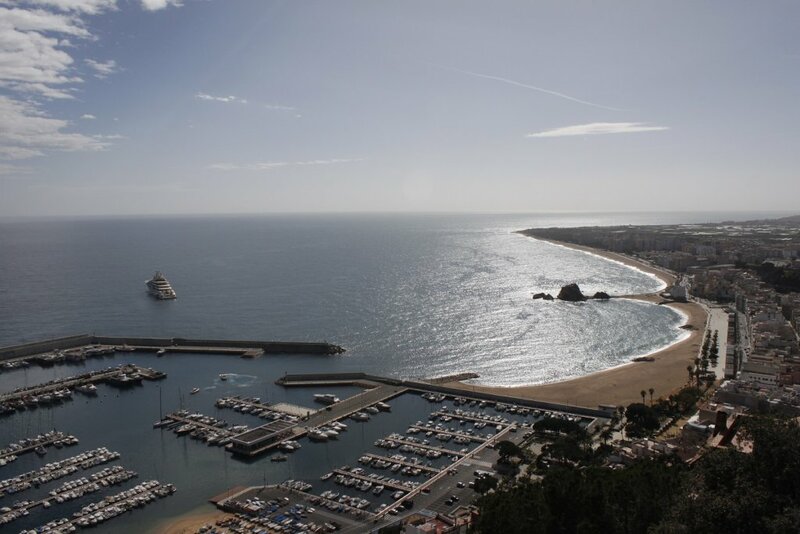 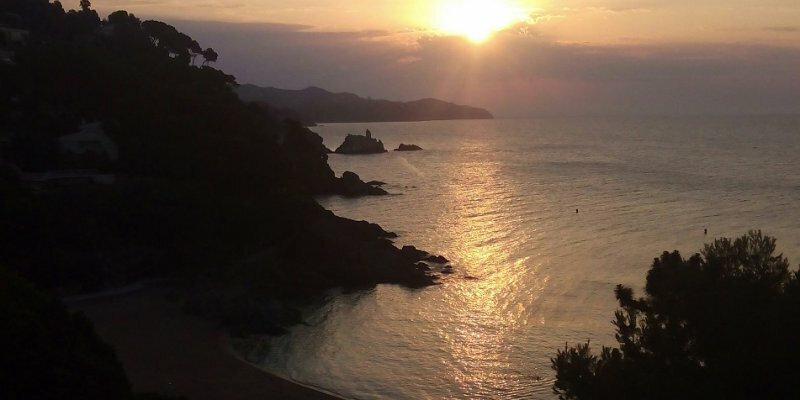 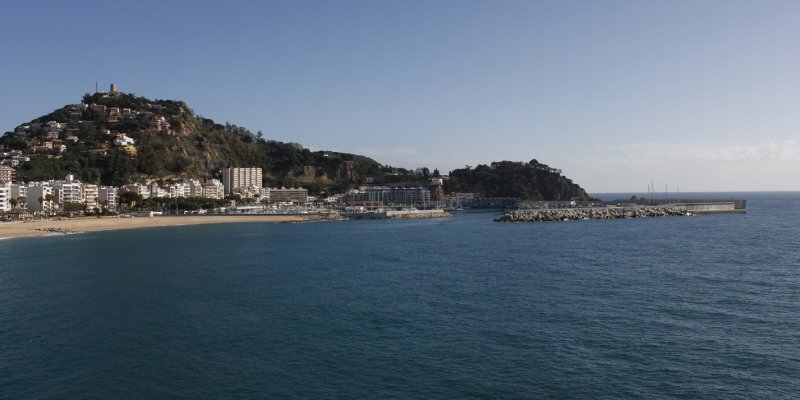 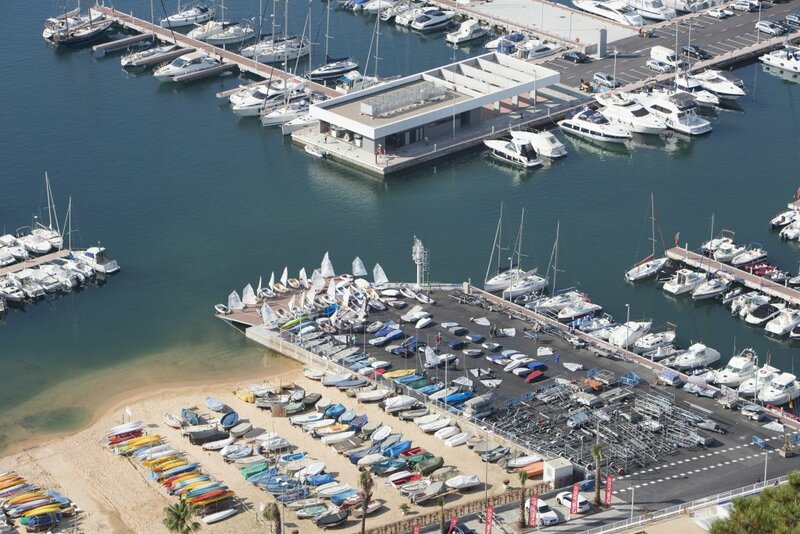 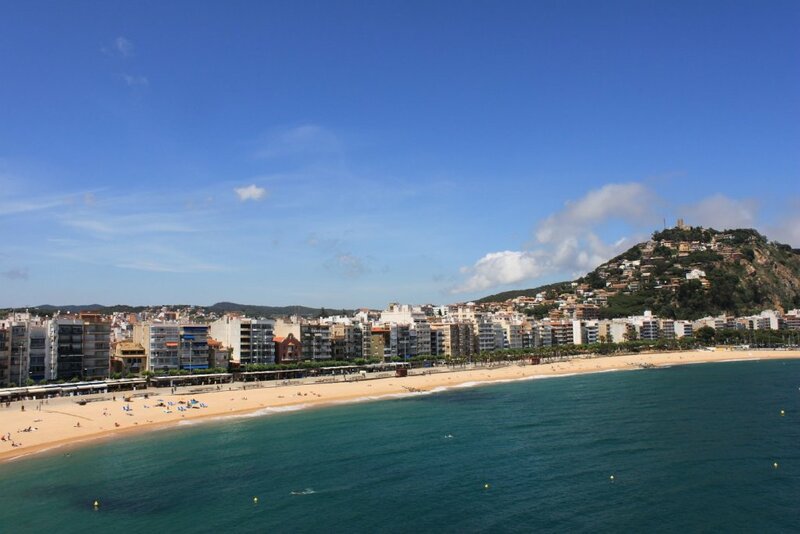 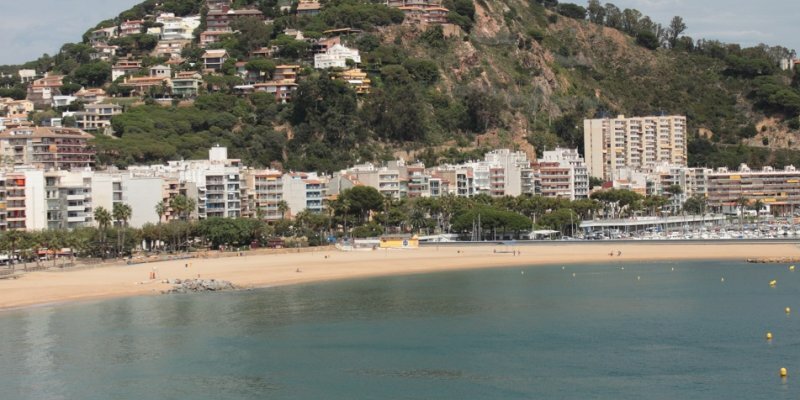 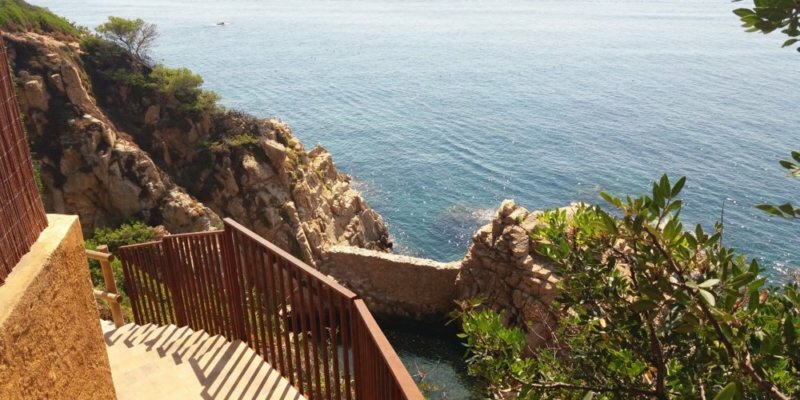 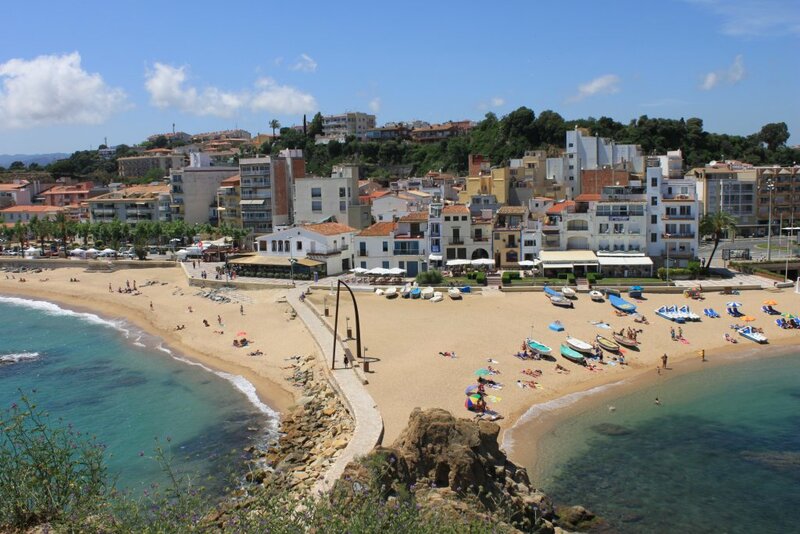 Blanes invites you to discover some of the most peaceful and elegant places that you never imagined before. 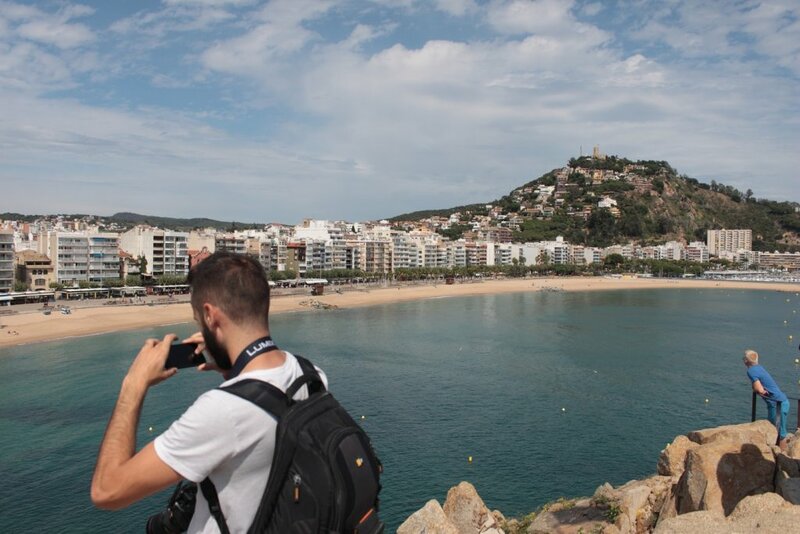 Taking pictures of anywhere in the city is just a little part of these dreamy days. 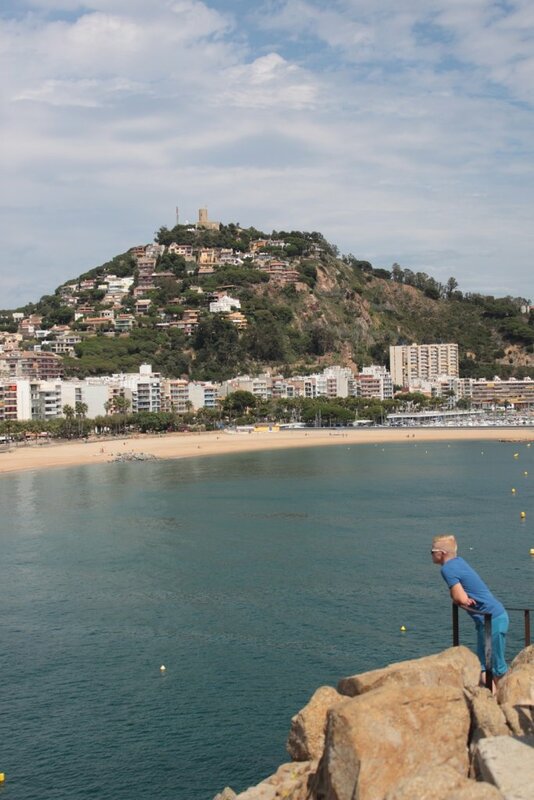 But, if you want to take the best pictures ever, you should go up to the amazing lookout points where you will take unique pictures.